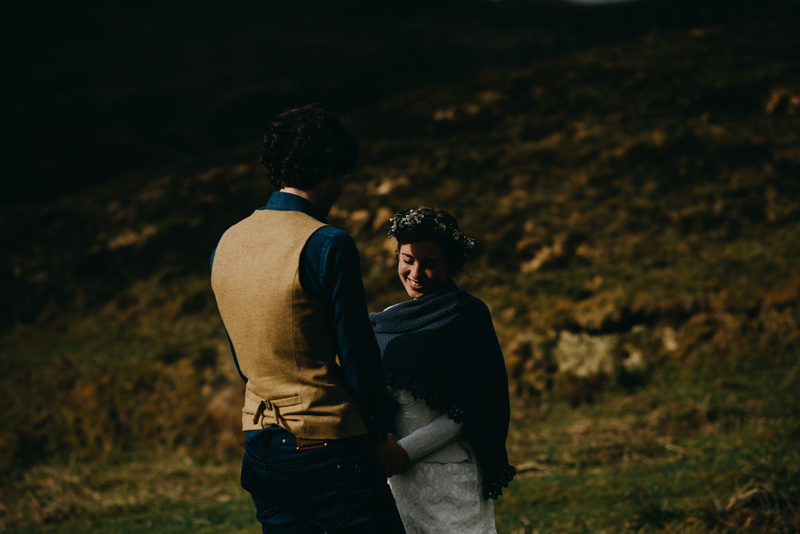 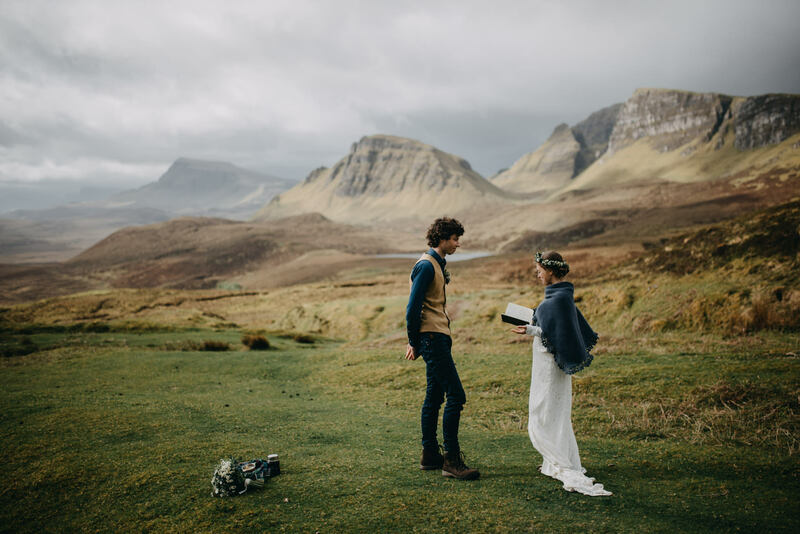 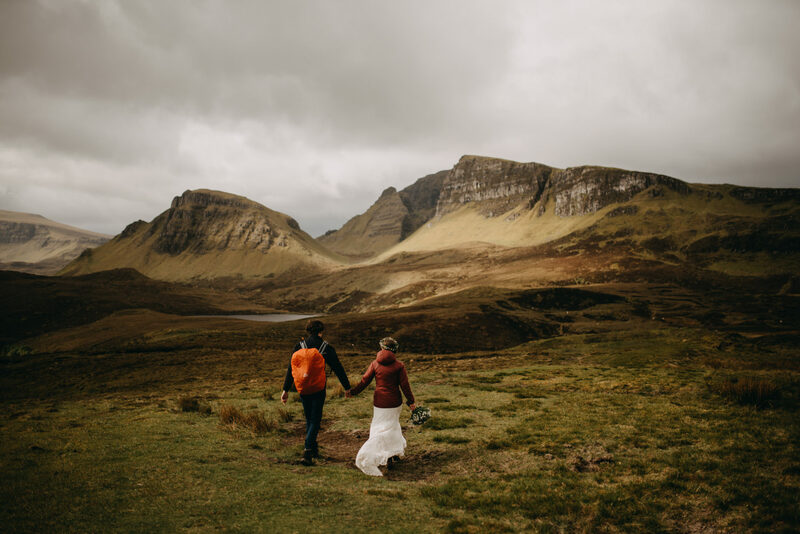 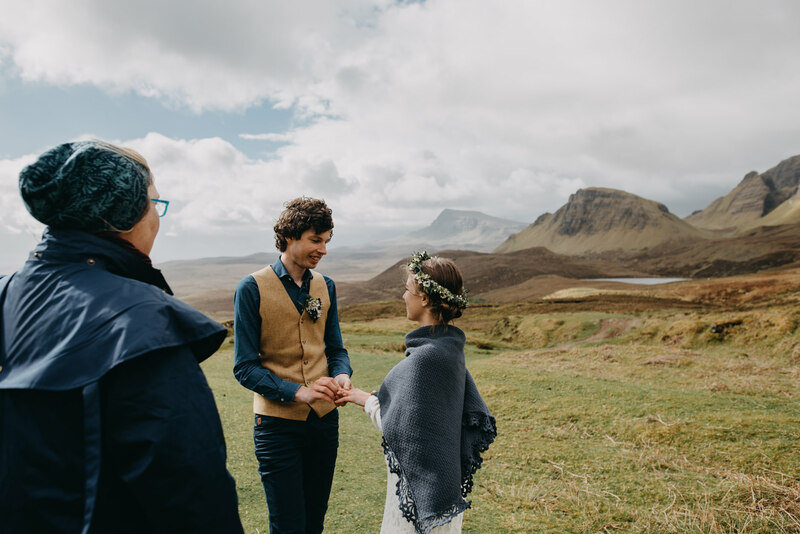 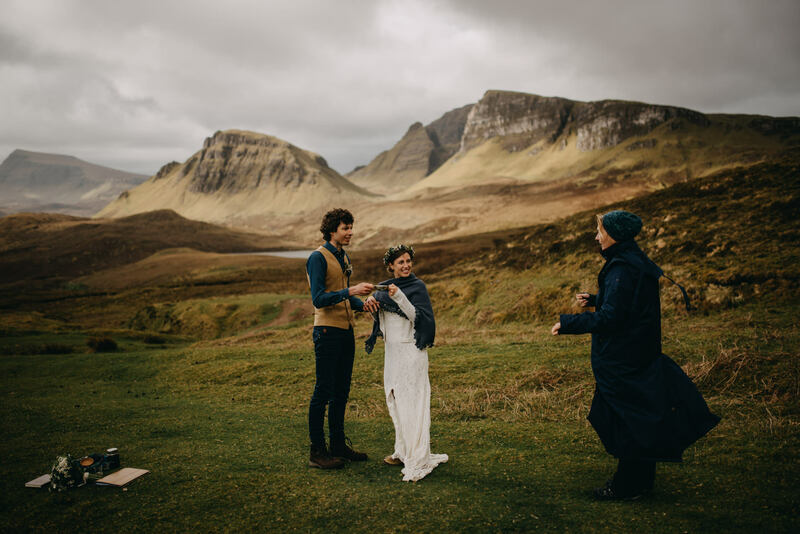 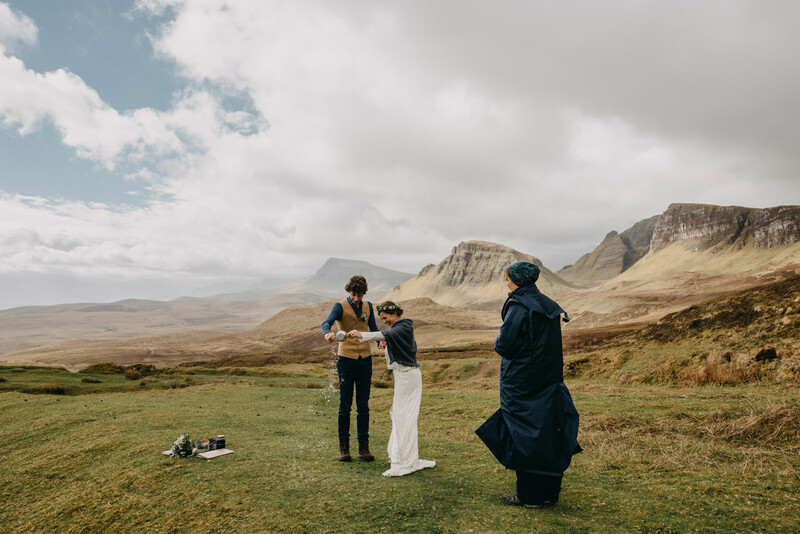 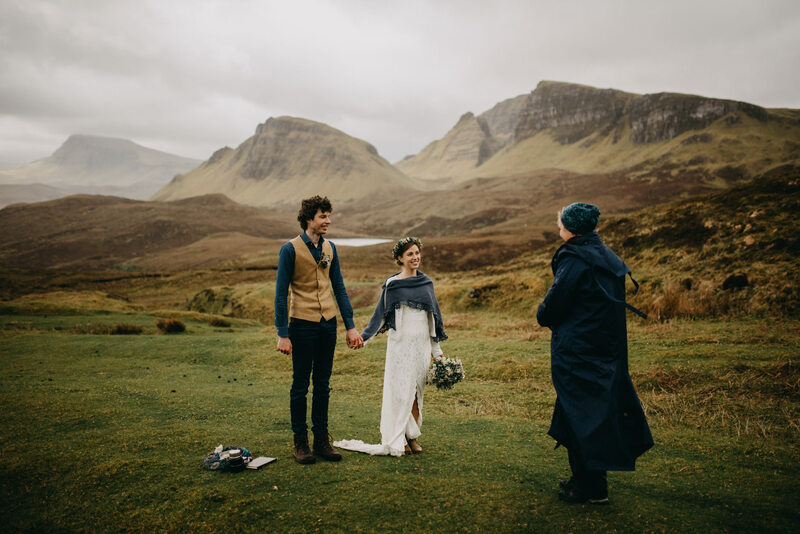 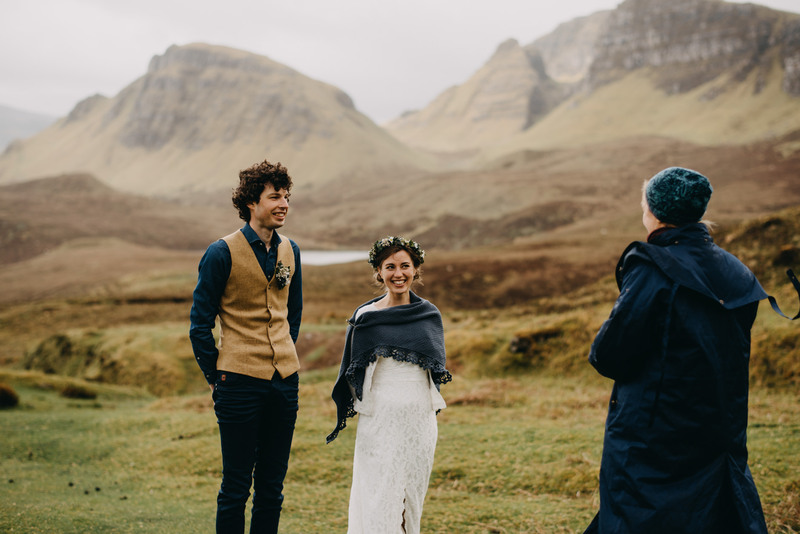 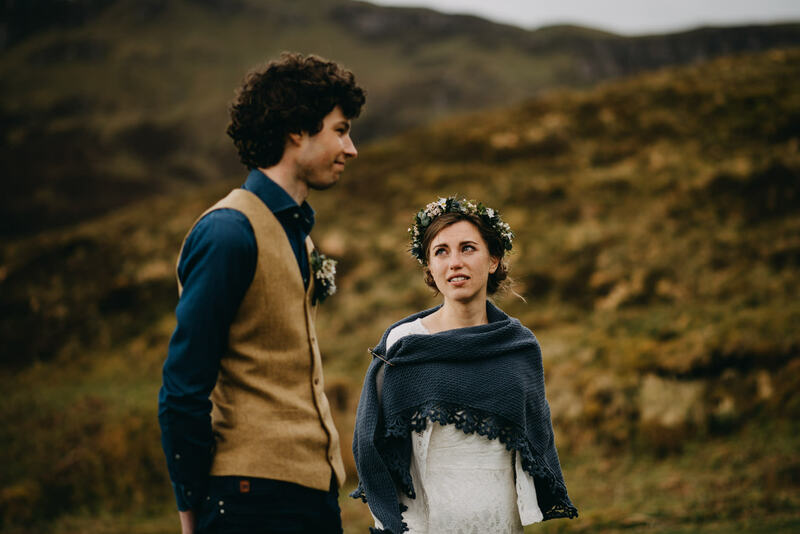 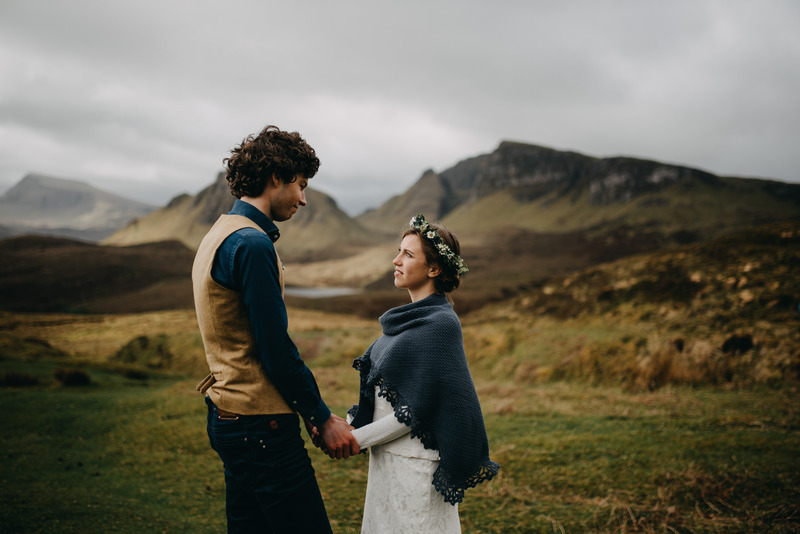 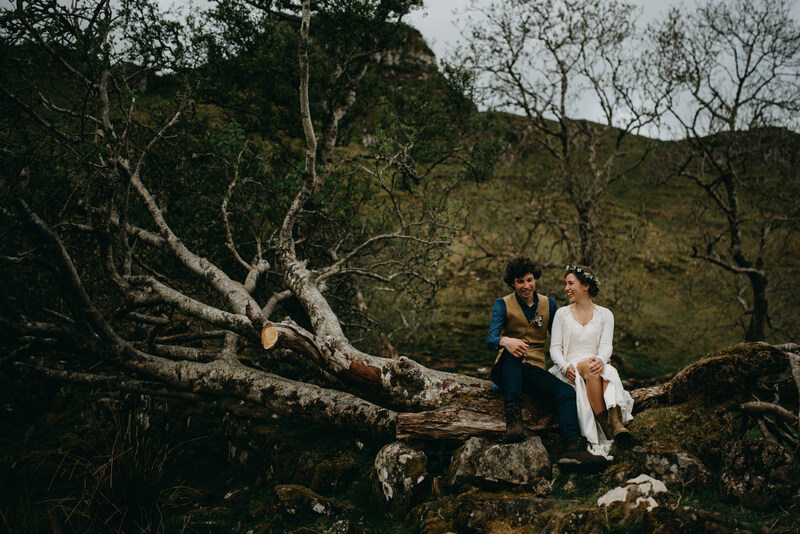 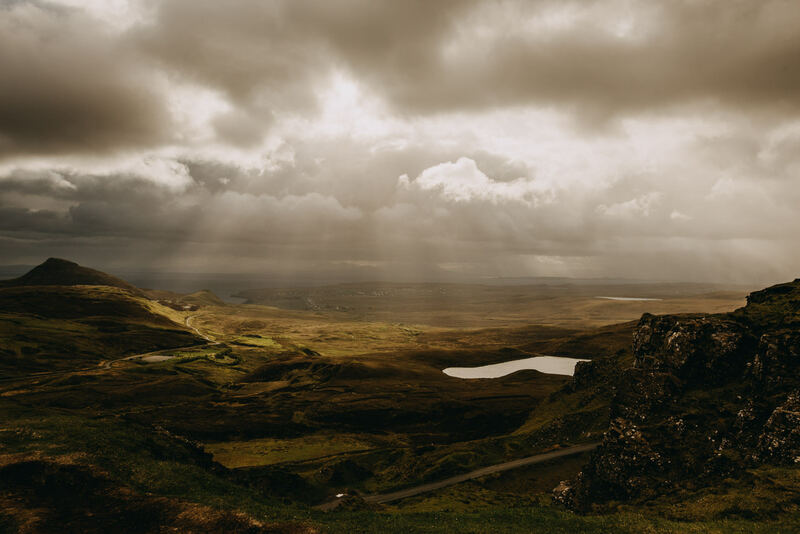 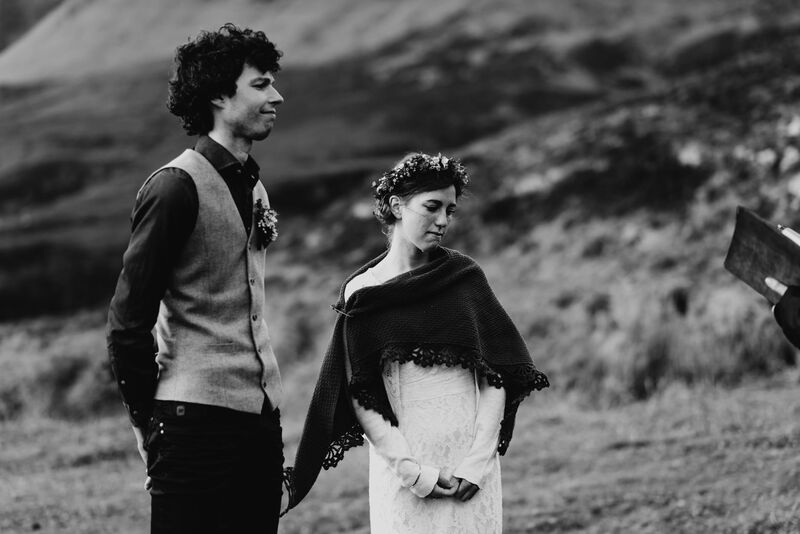 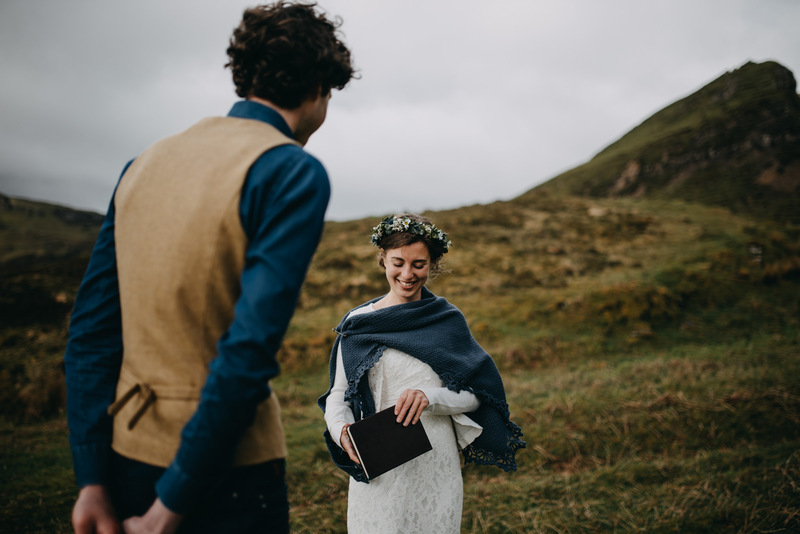 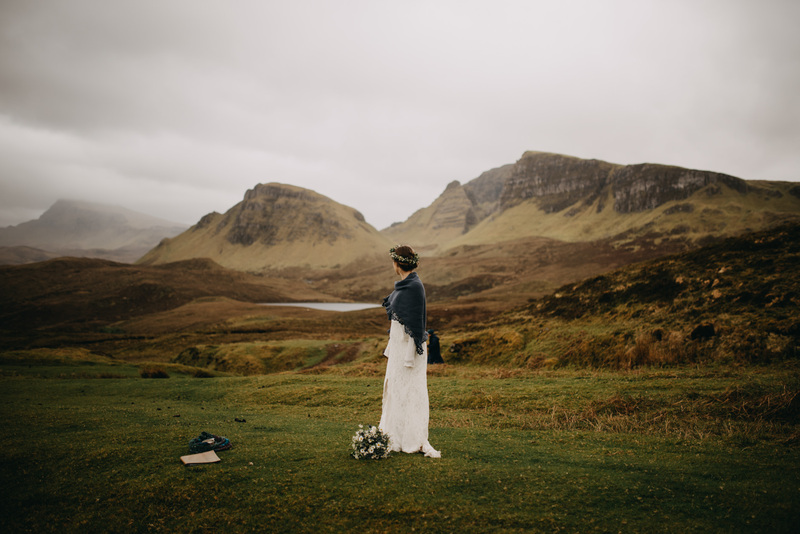 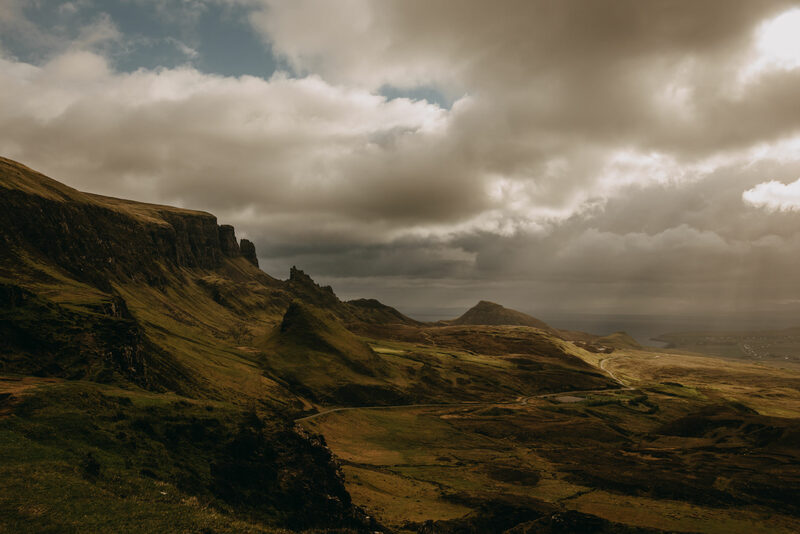 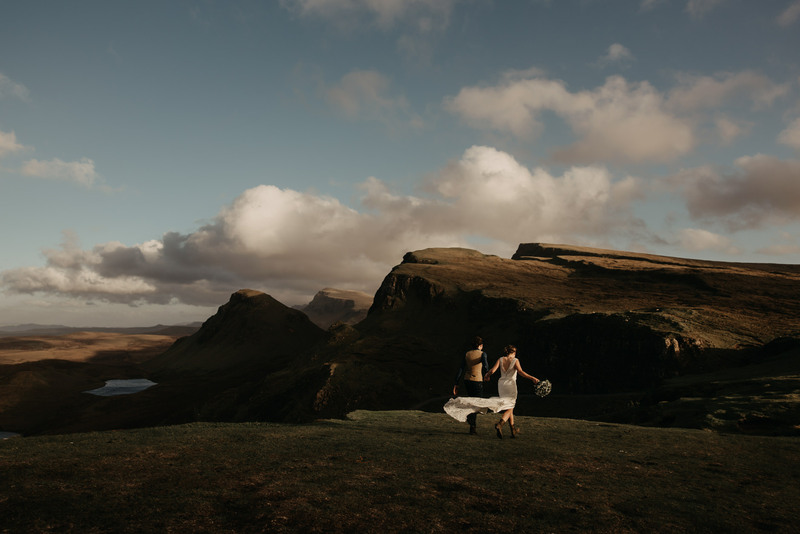 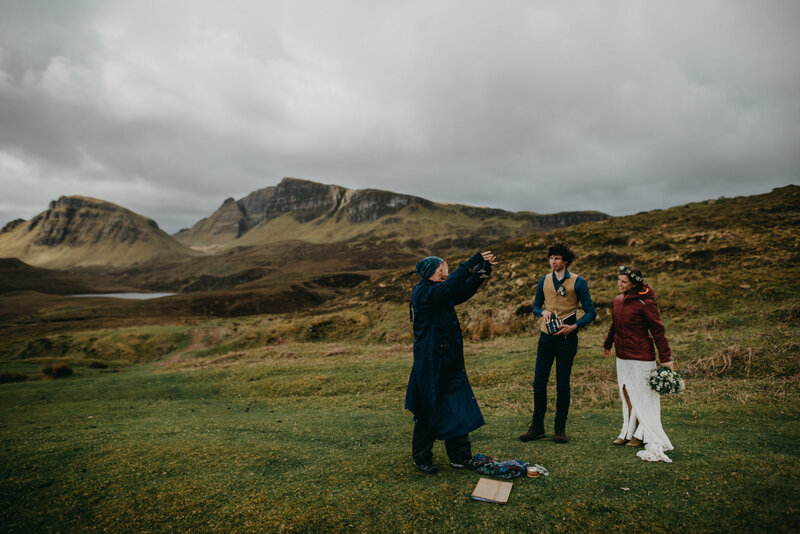 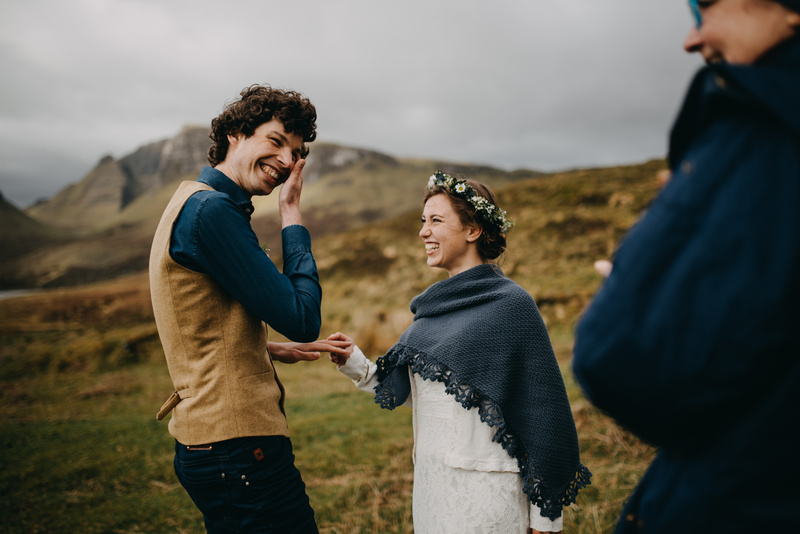 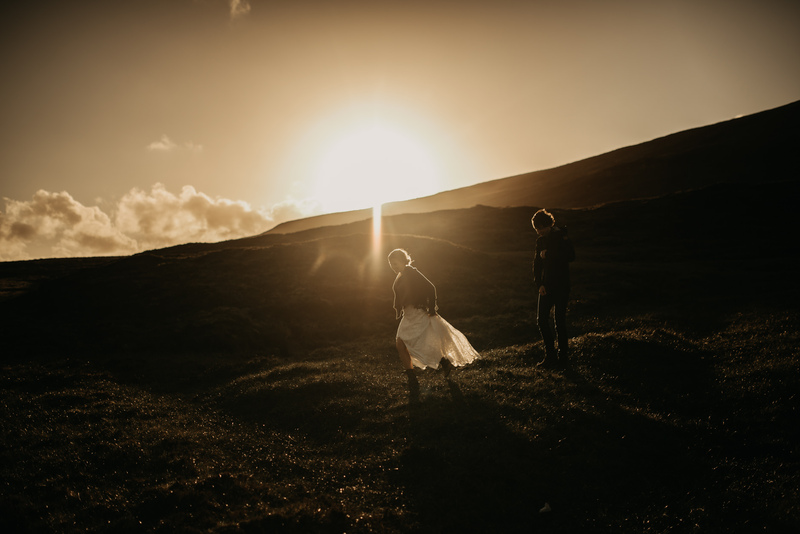 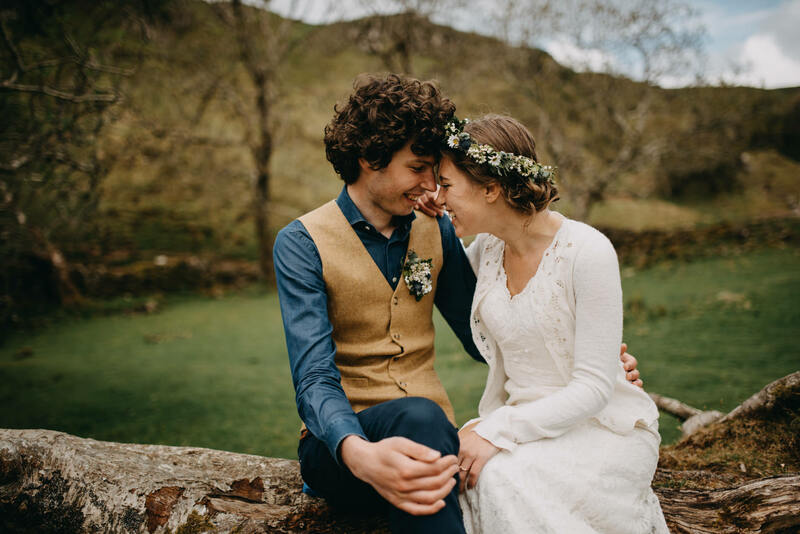 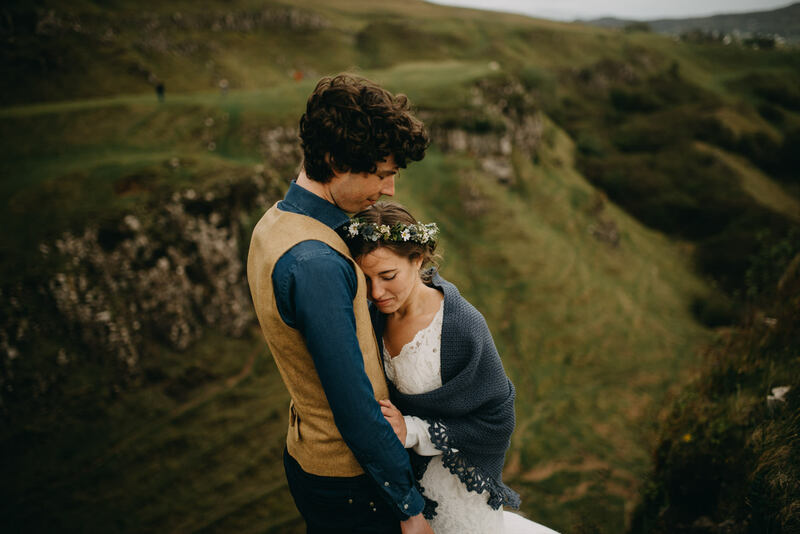 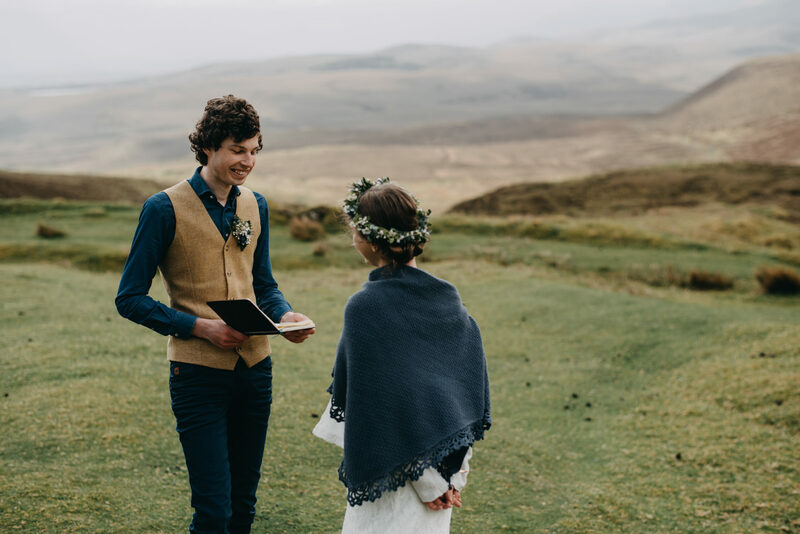 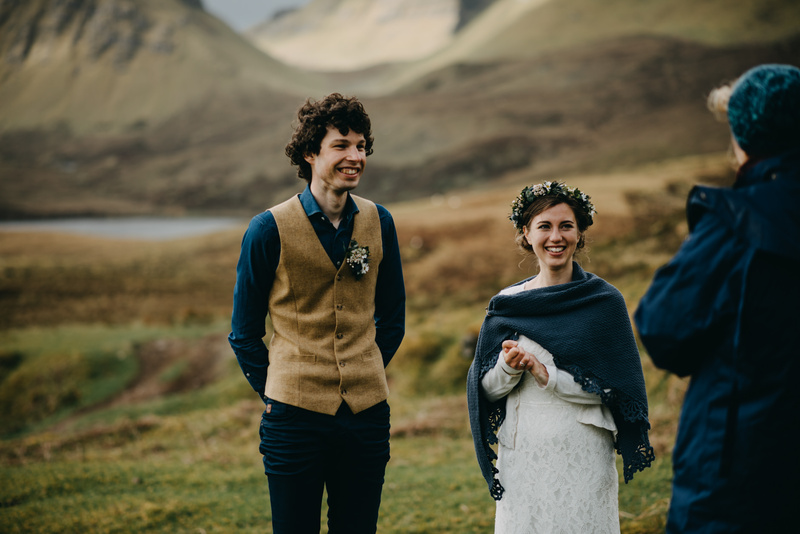 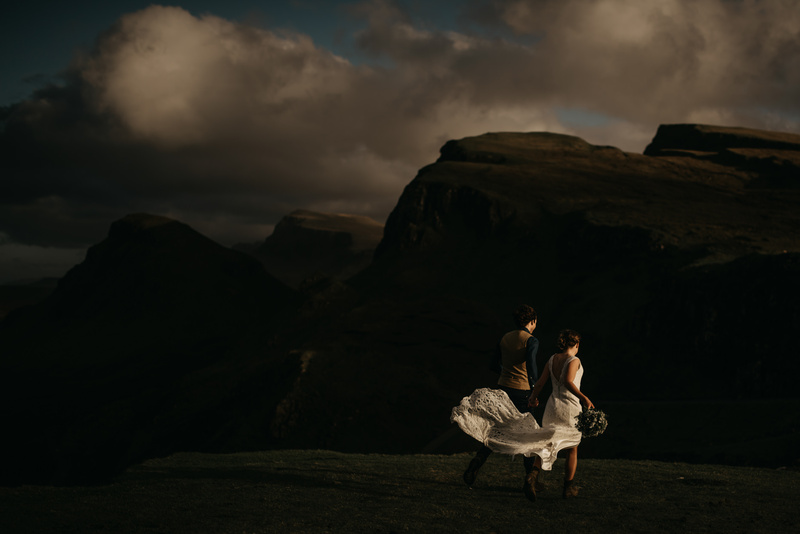 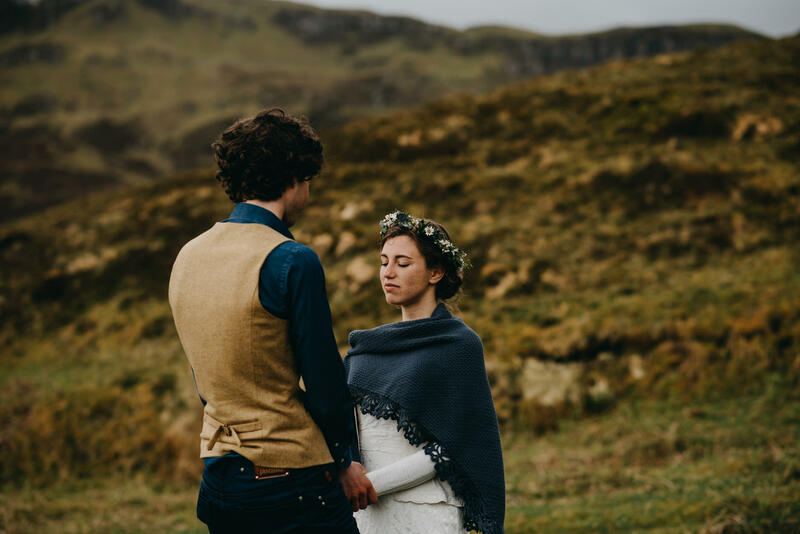 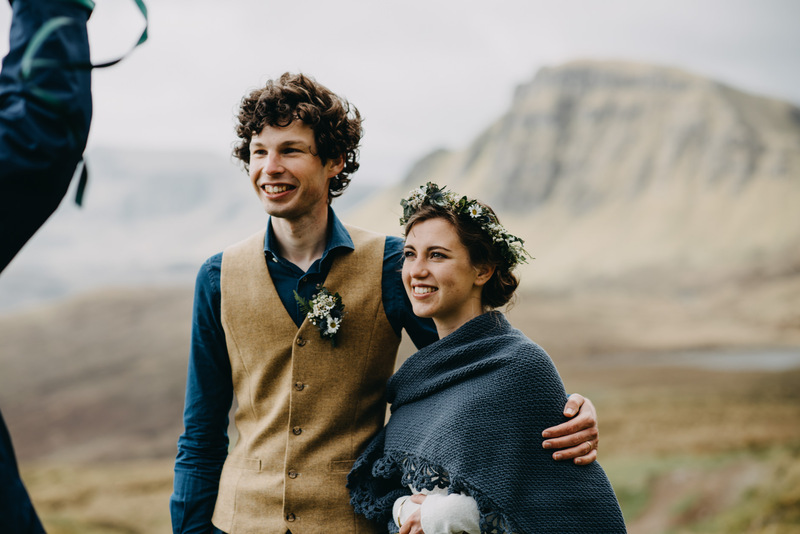 Jeroen and Saane travelled from Holland to get married at the Quiraing on the Isle of Skye. 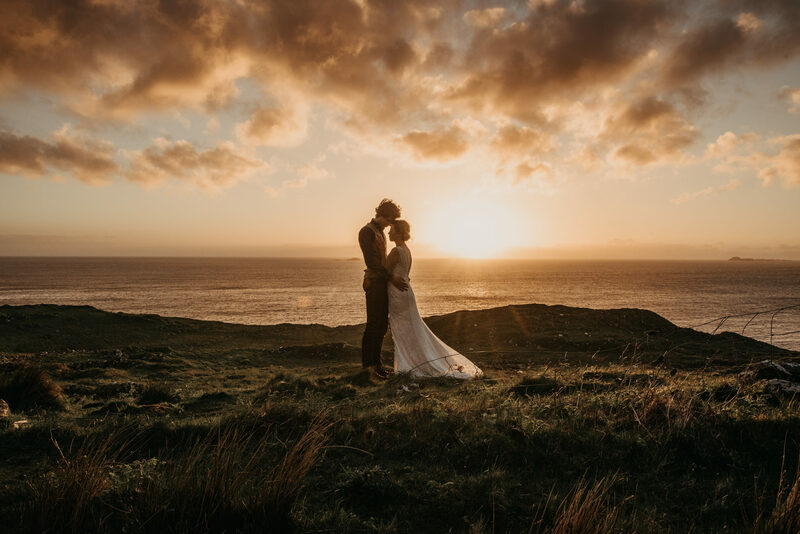 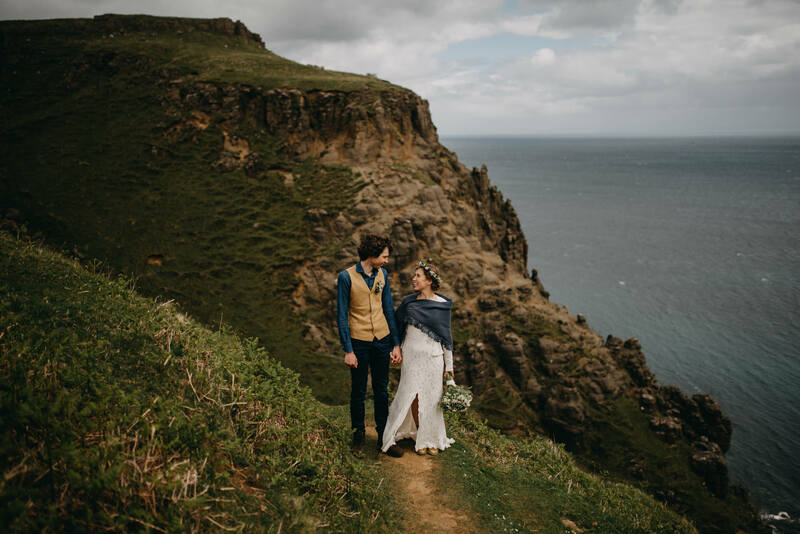 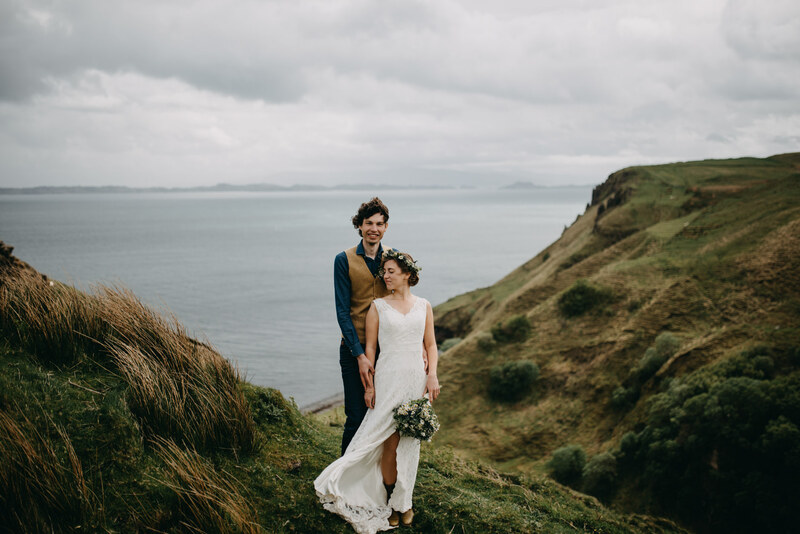 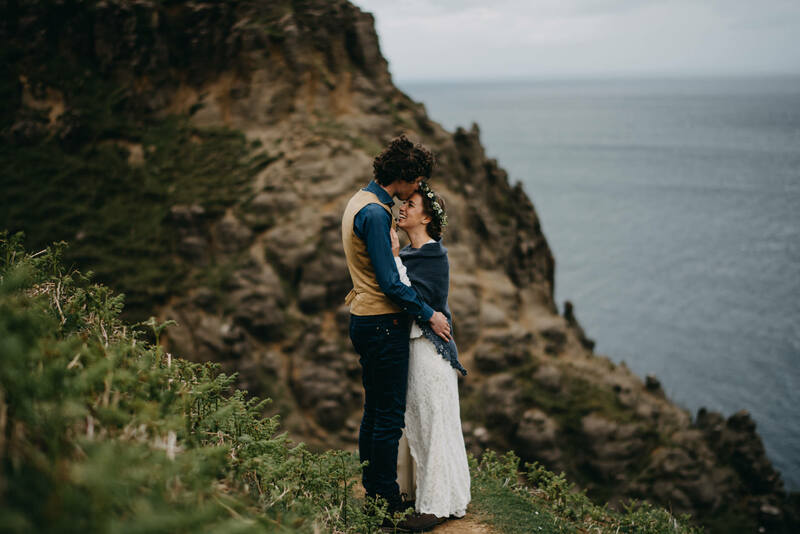 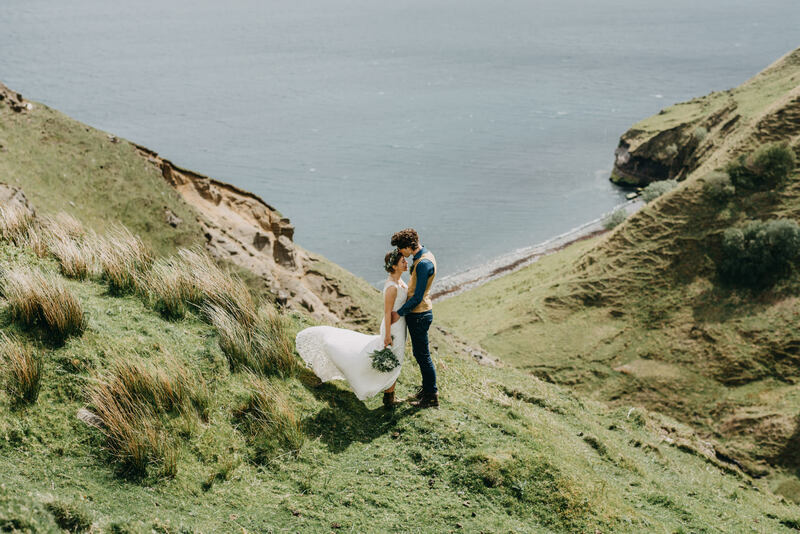 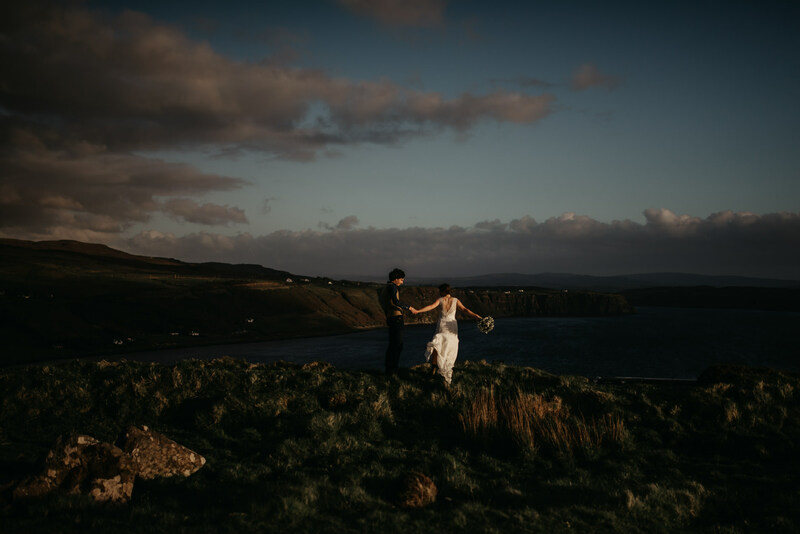 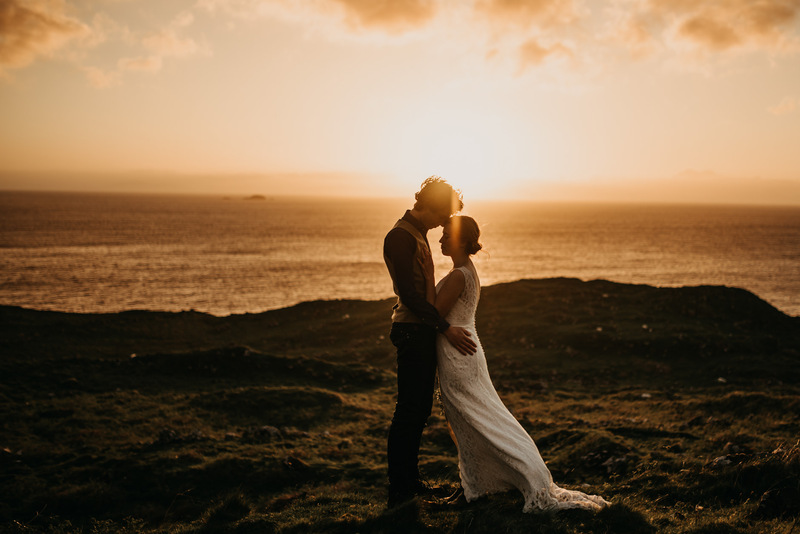 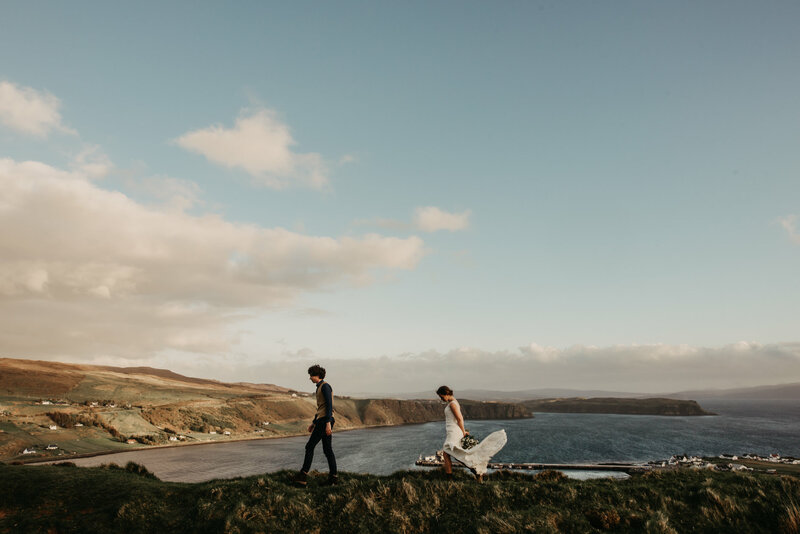 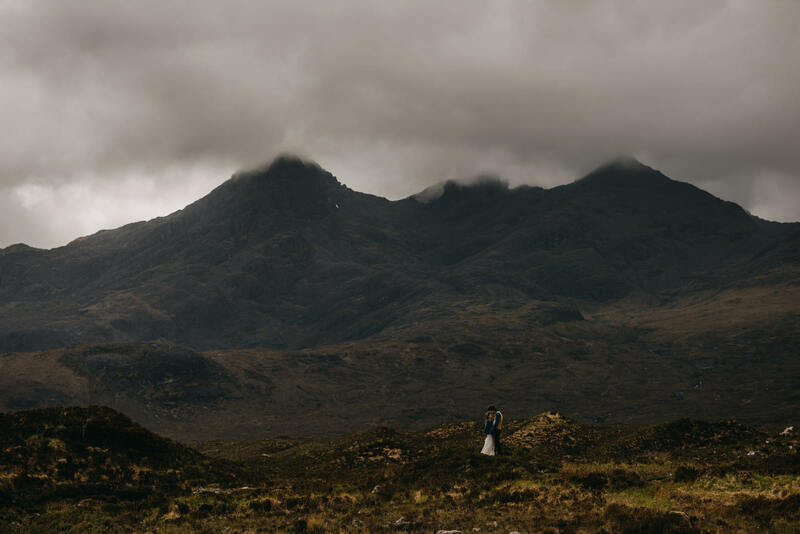 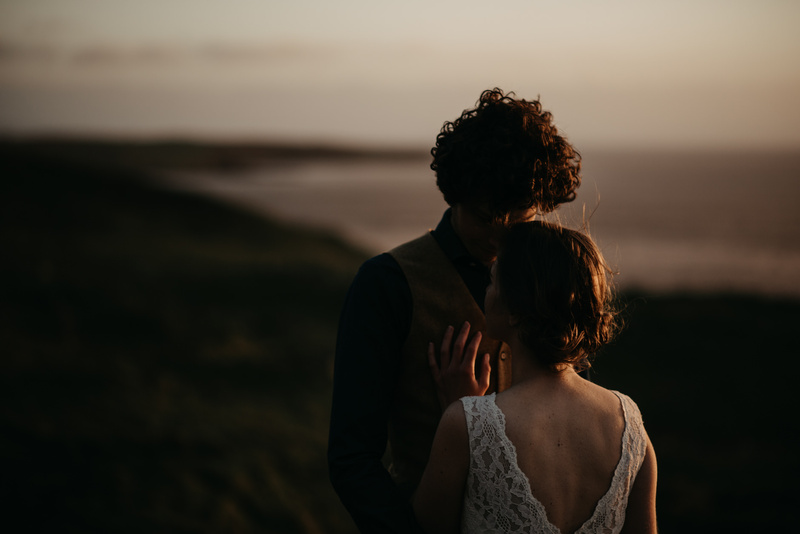 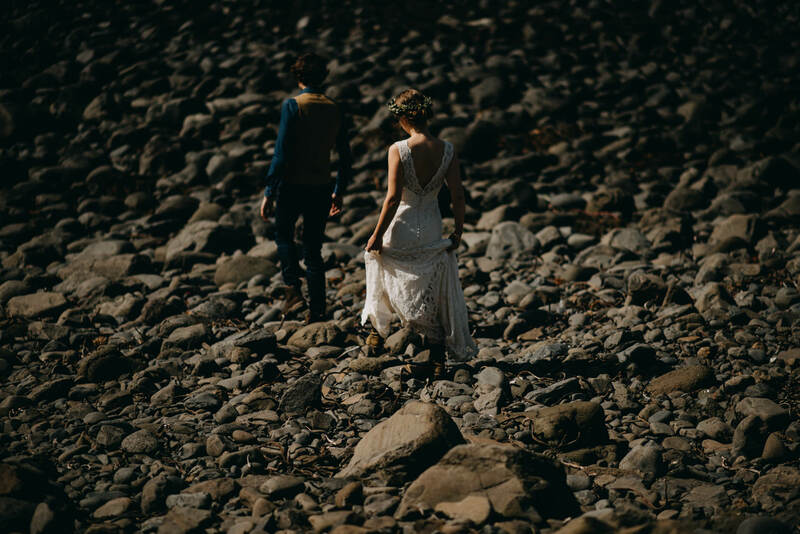 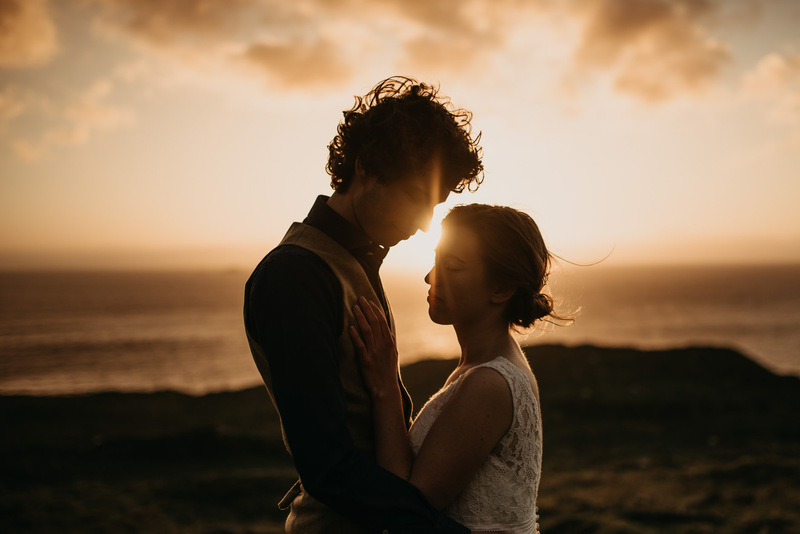 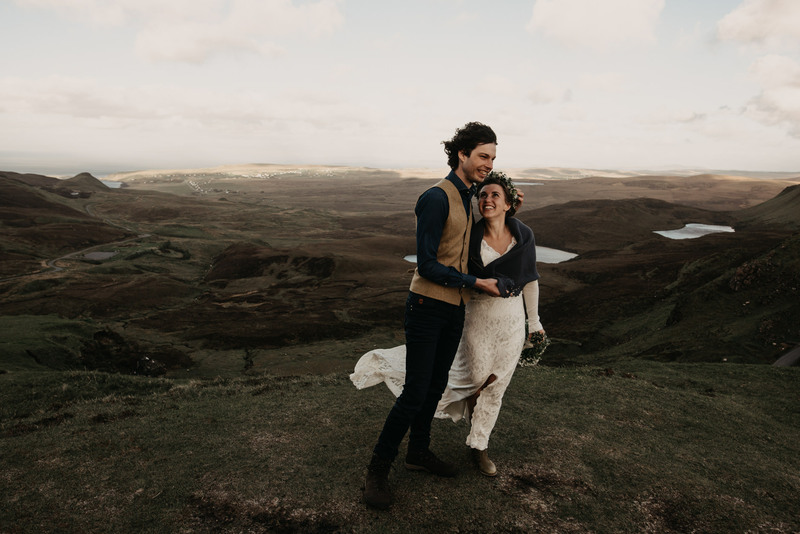 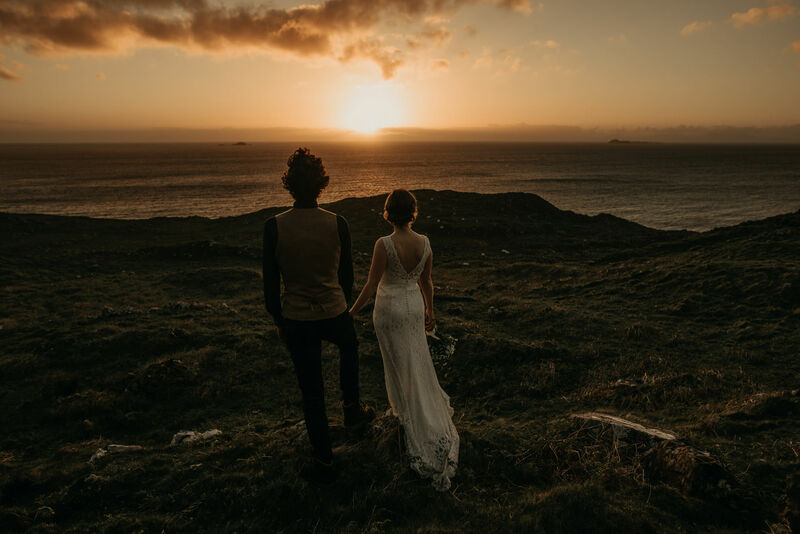 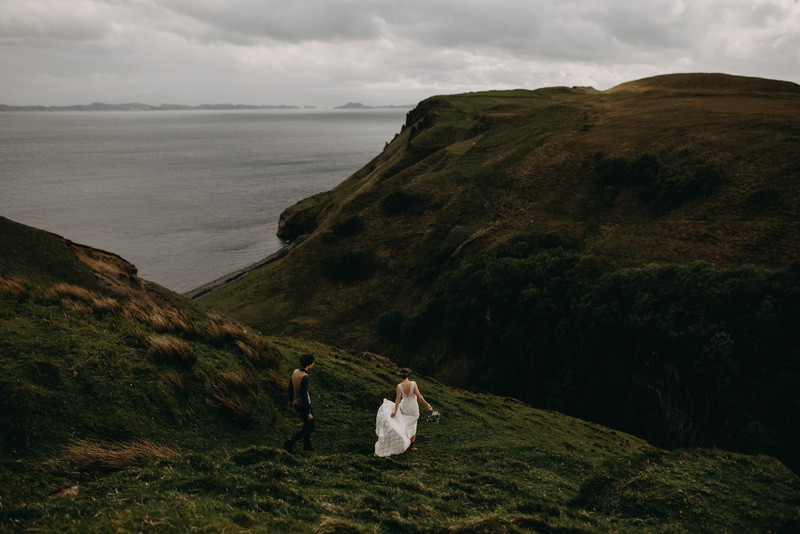 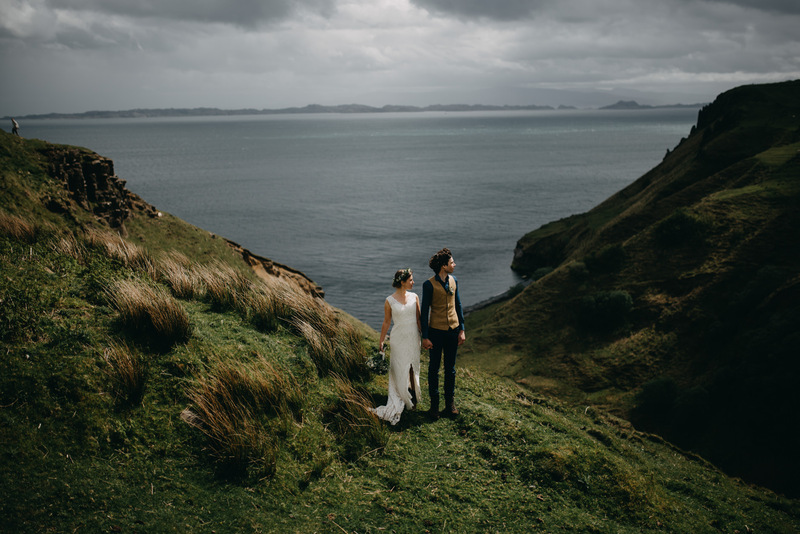 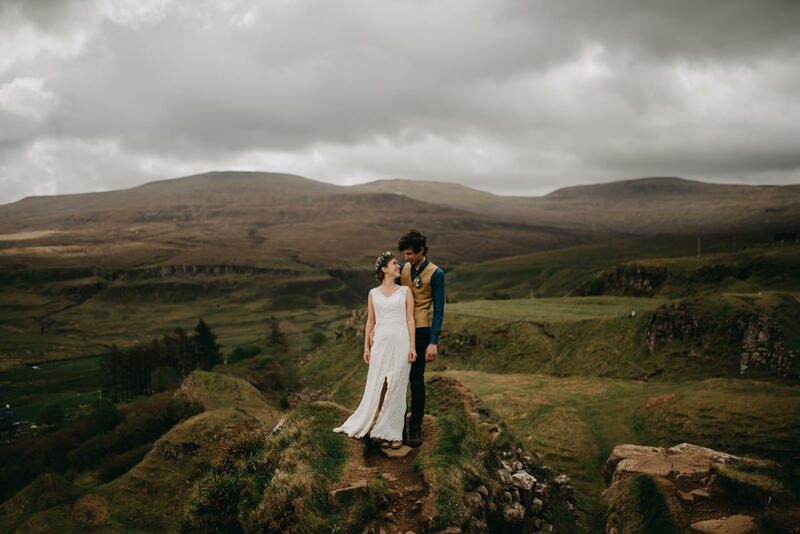 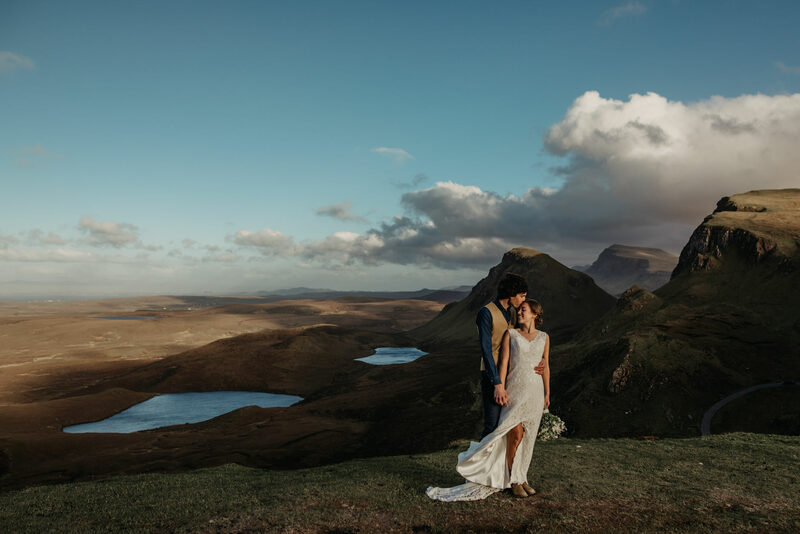 I absolutely love to photograph Isle of Skye elopements as they're full of intimacy, emotion and adventure all coupled with the breath taking landscapes of the Isle of Skye. 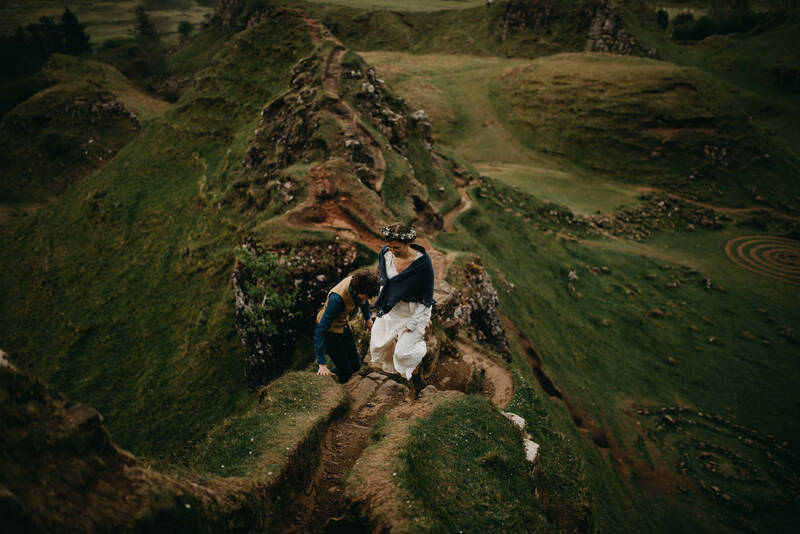 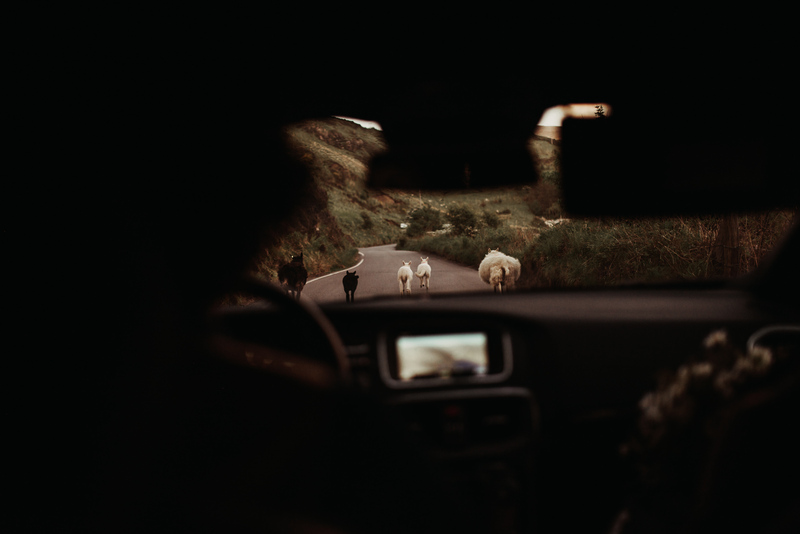 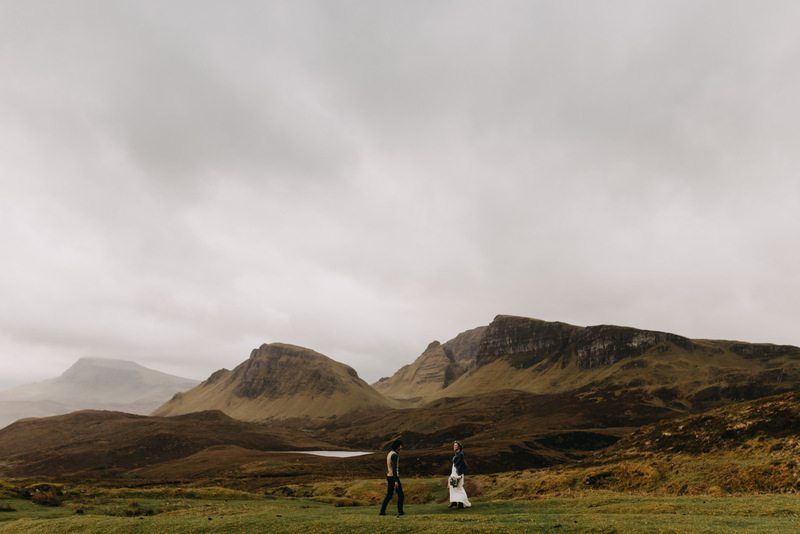 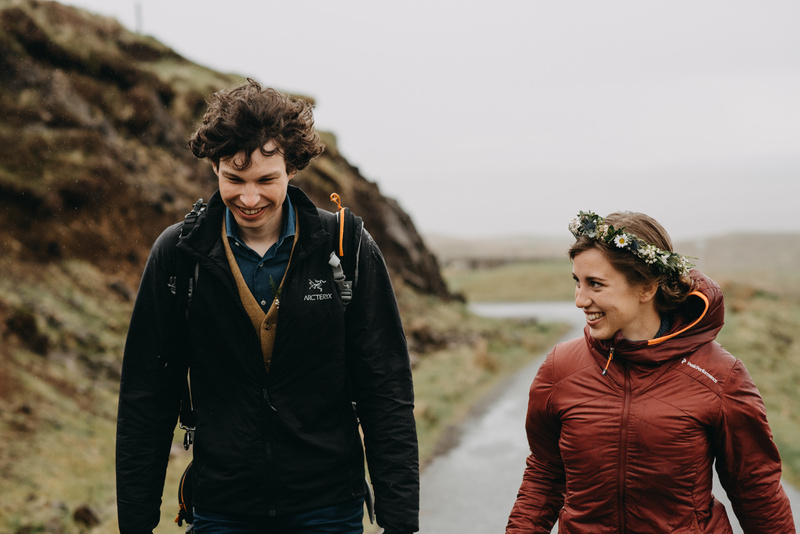 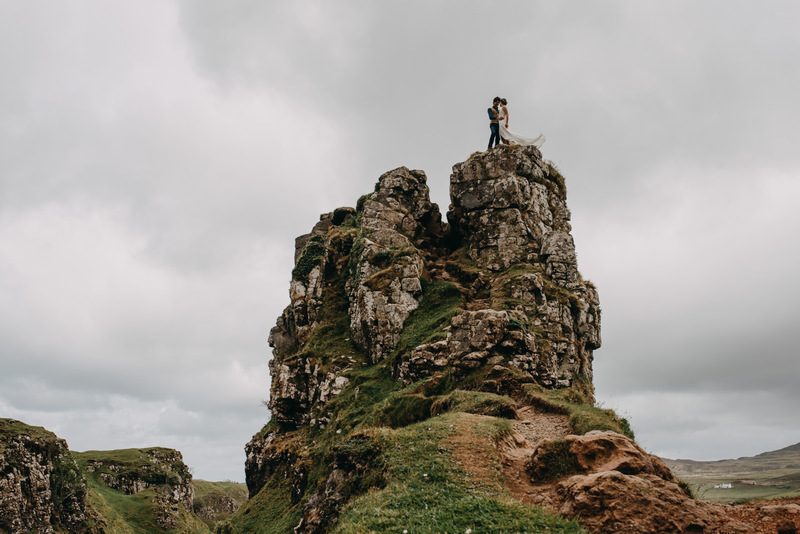 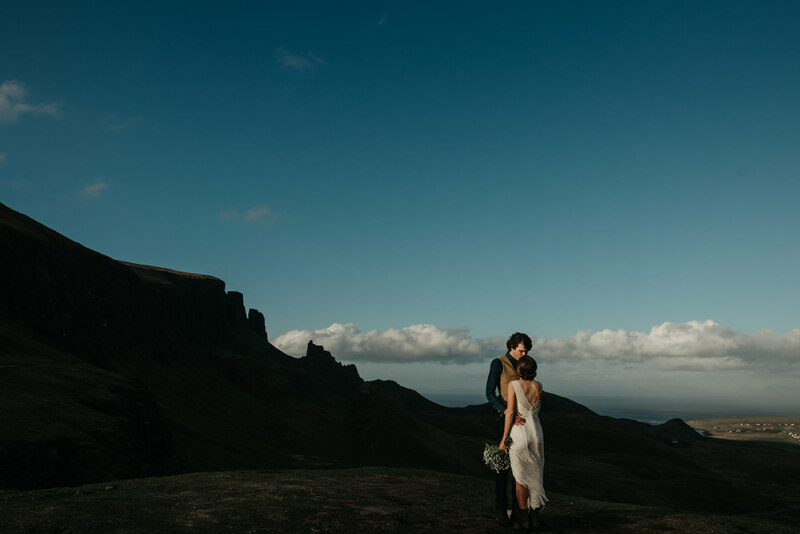 Jeroen & Sanne decided to elope at 8am to avoid the tourists that flocked to the the Quiraing later in the day so they had the entire place to themselves. 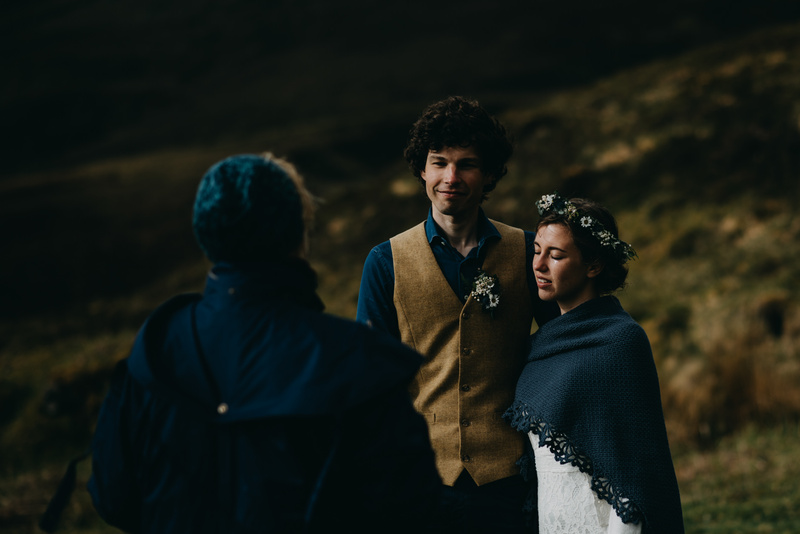 They met with their humanist Sonja Eckl-Riel of Heart & Soul Ceremonies who then went on to deliver one of the most beautiful and heart felt ceremonies I've ever seen. 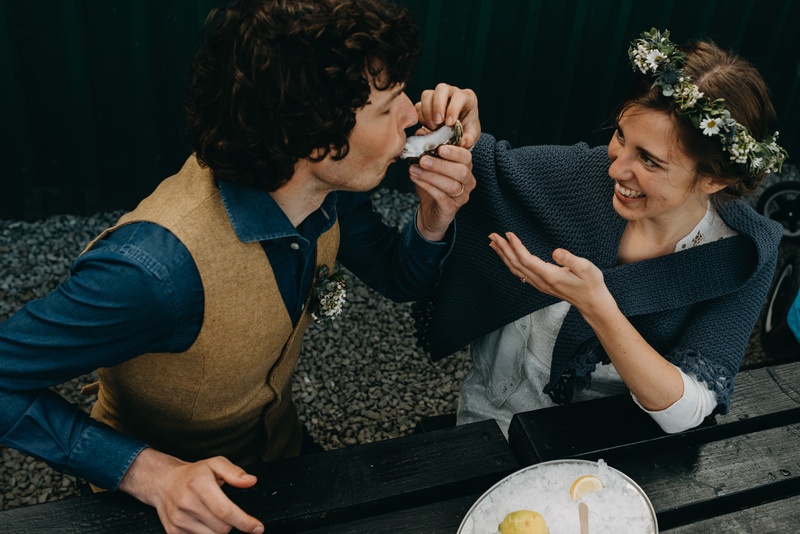 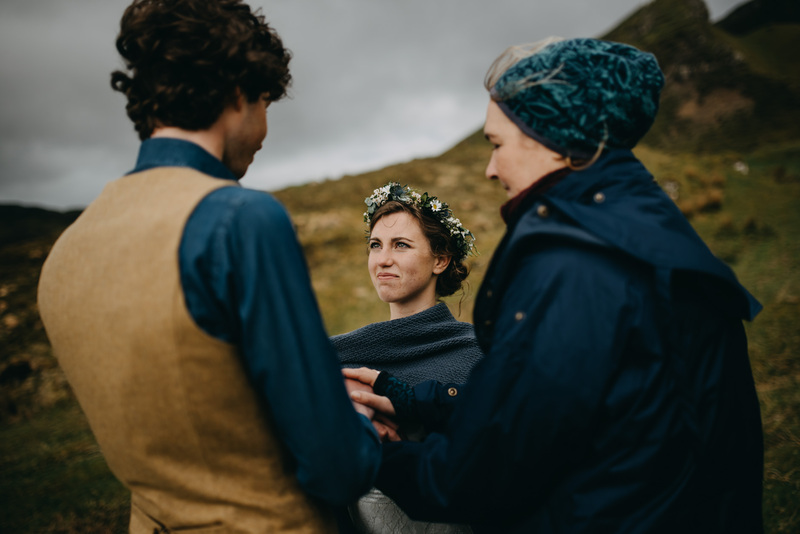 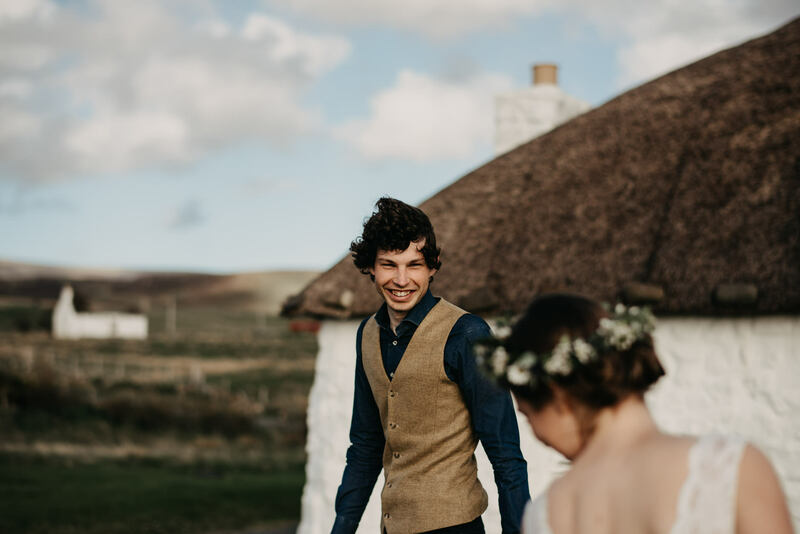 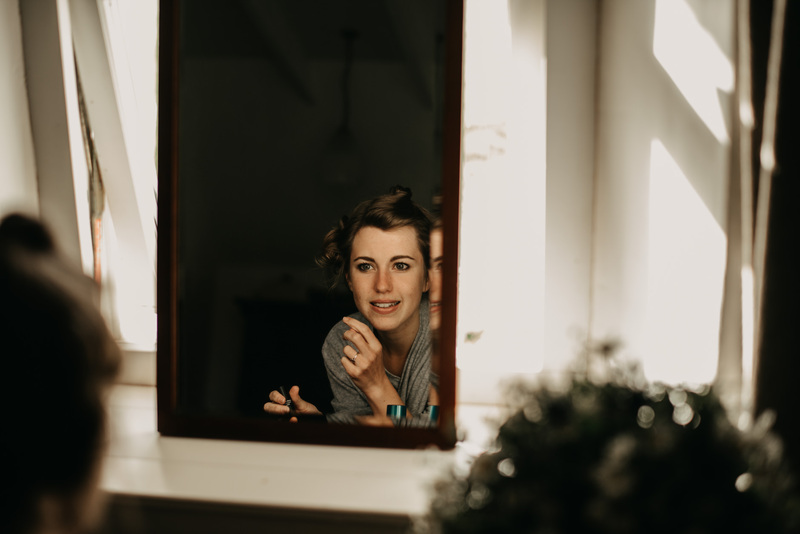 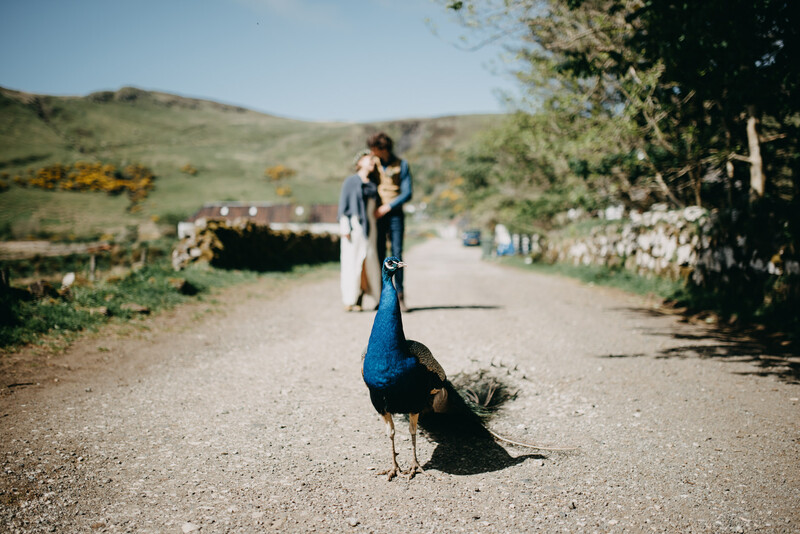 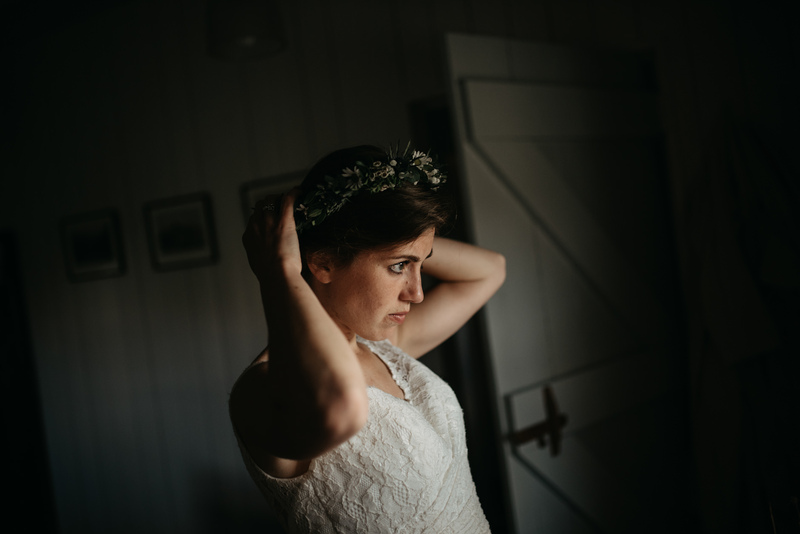 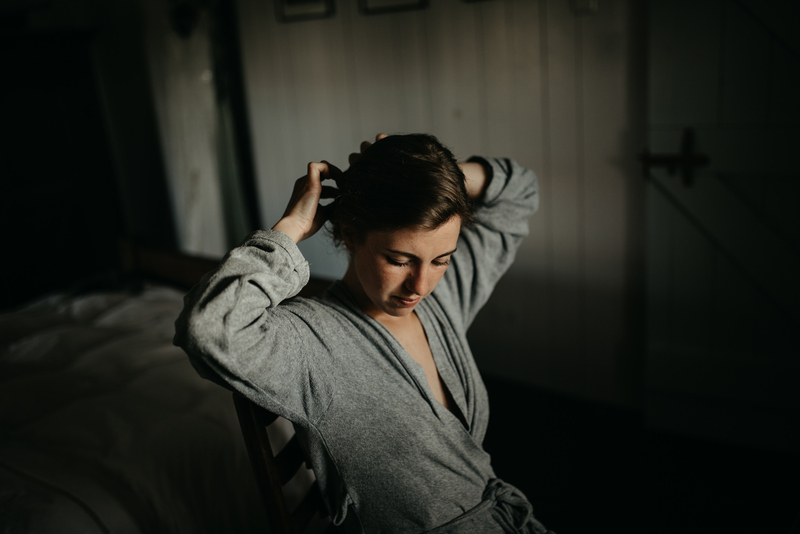 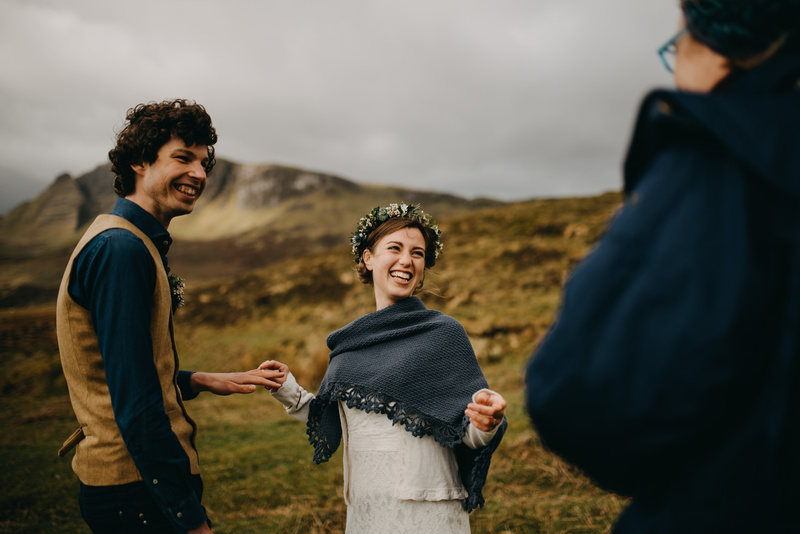 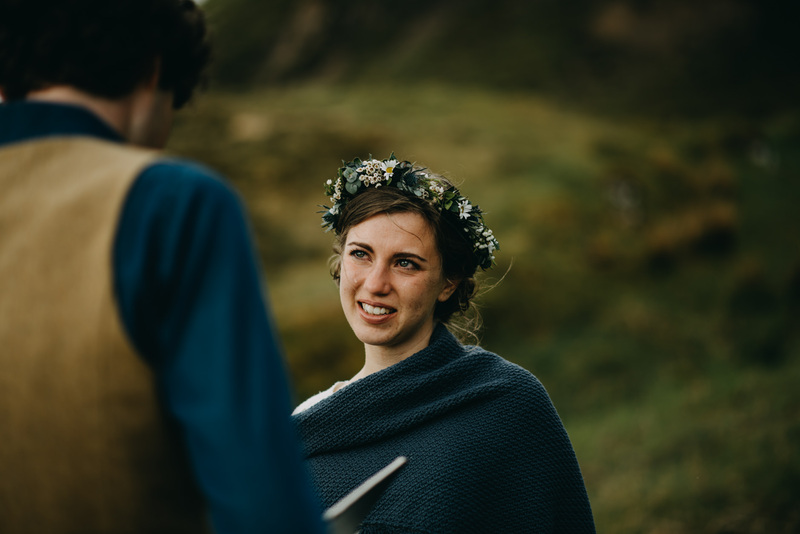 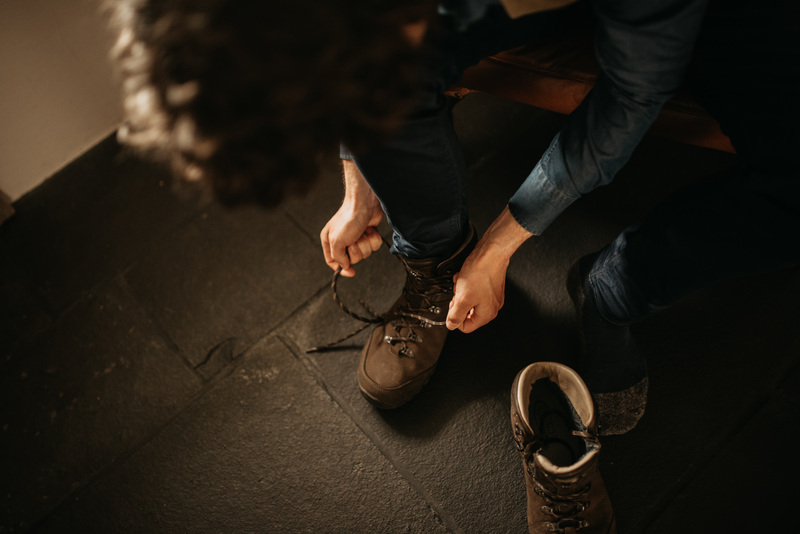 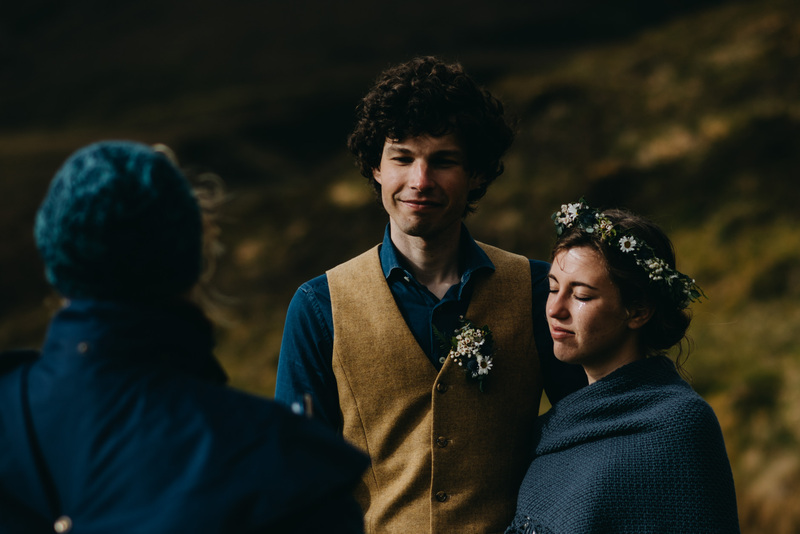 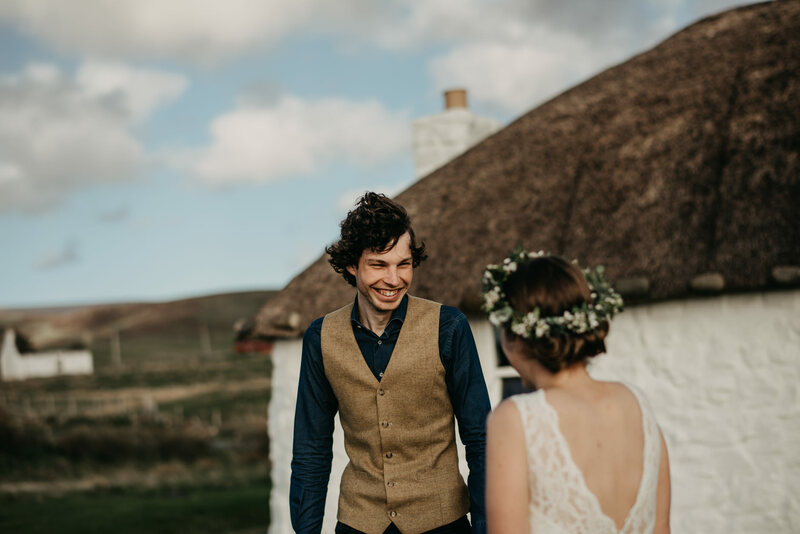 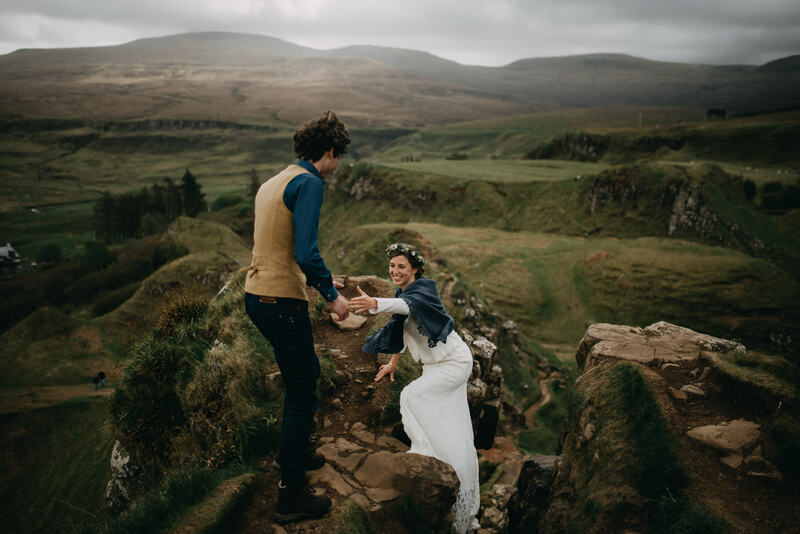 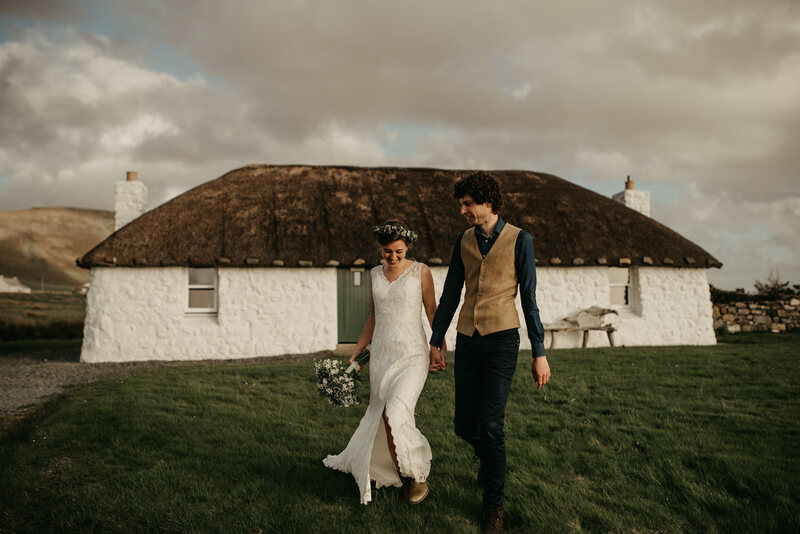 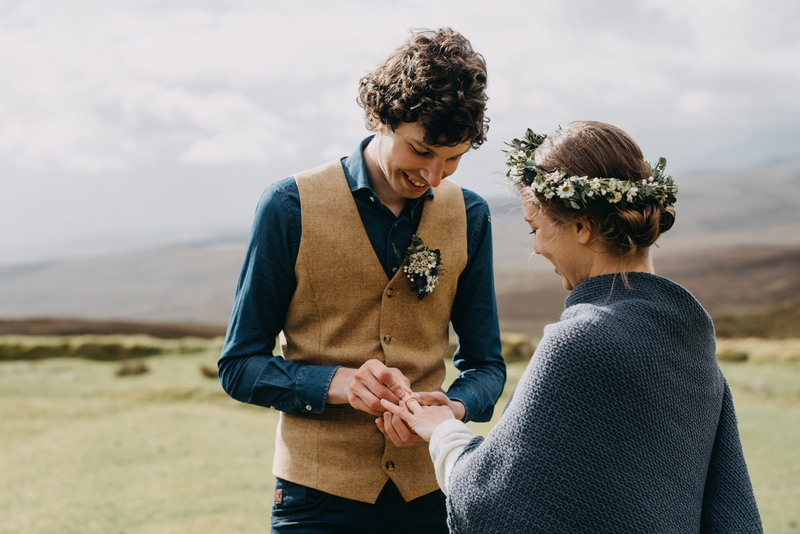 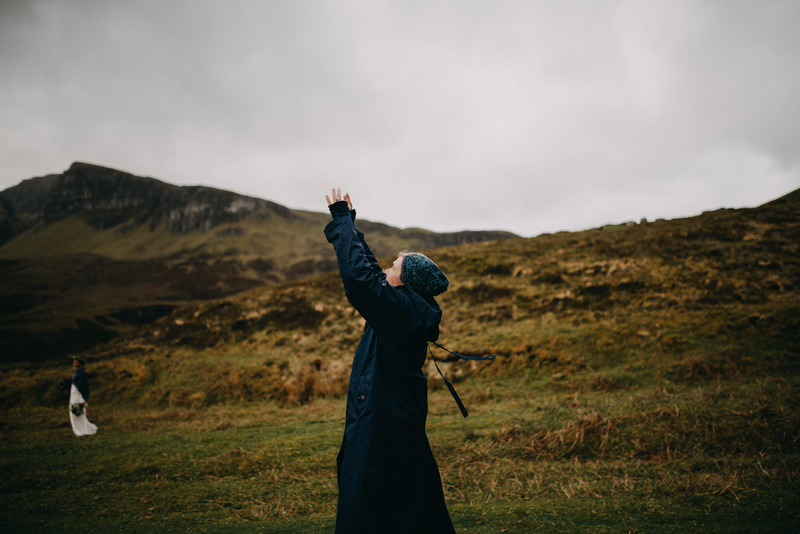 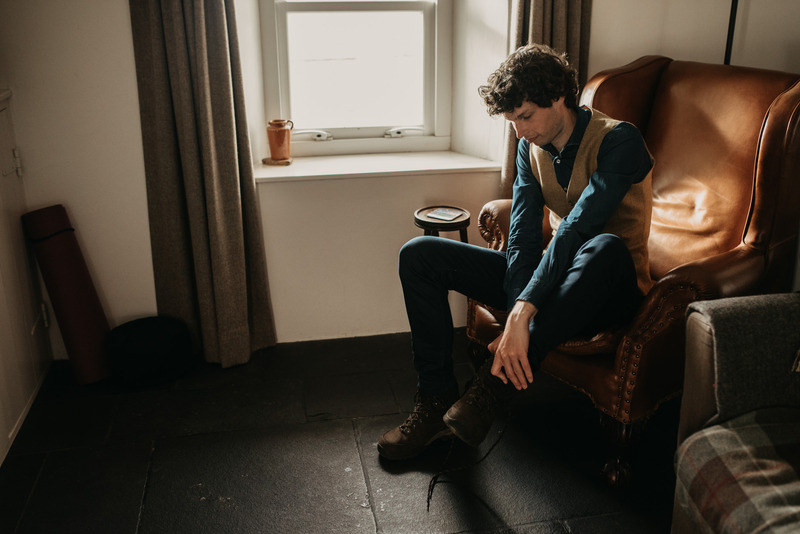 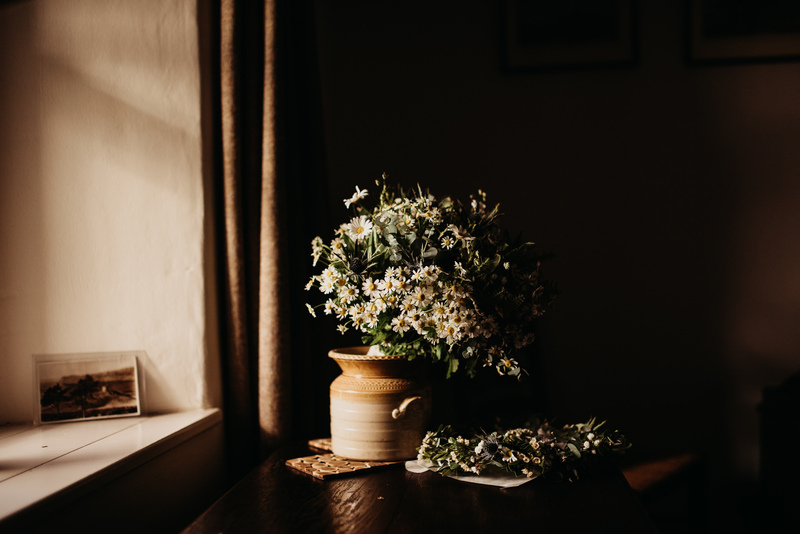 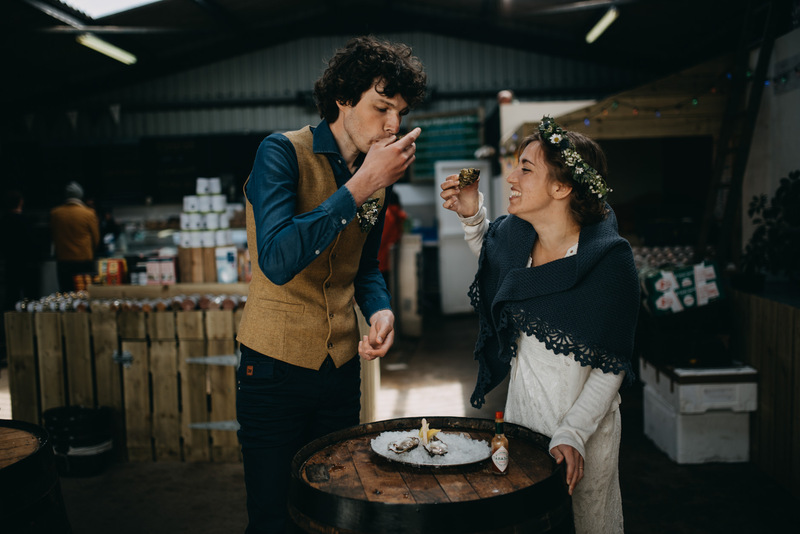 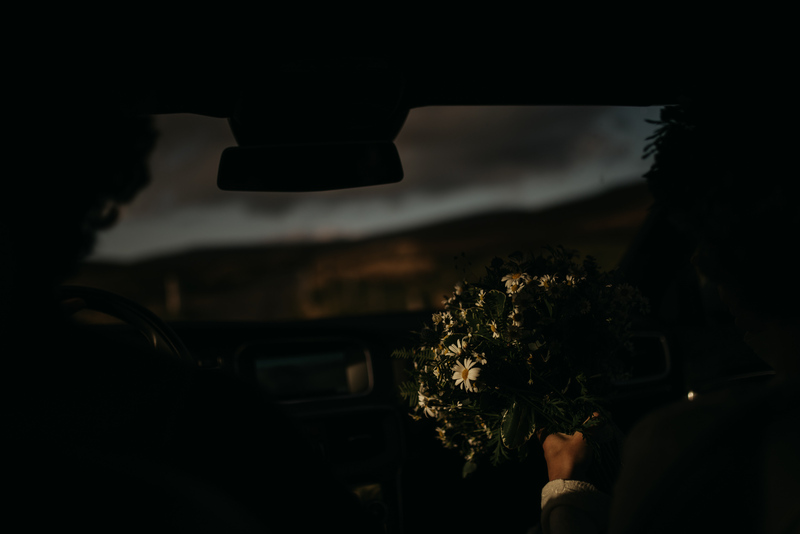 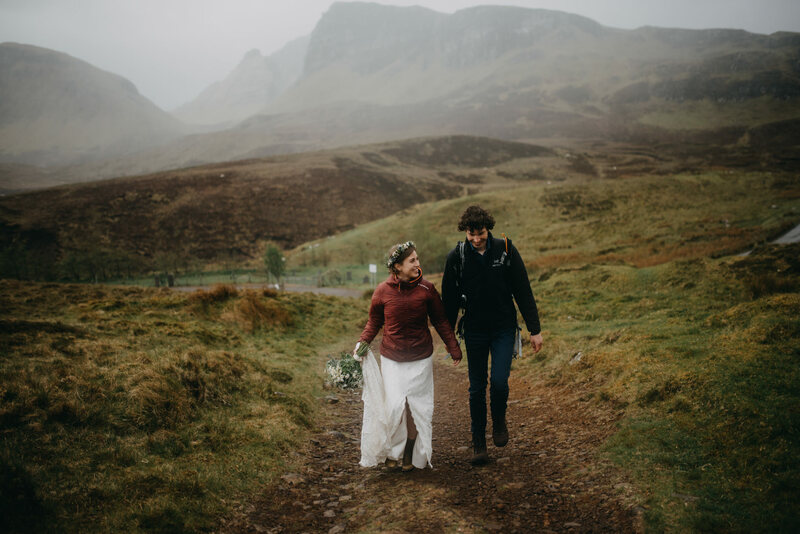 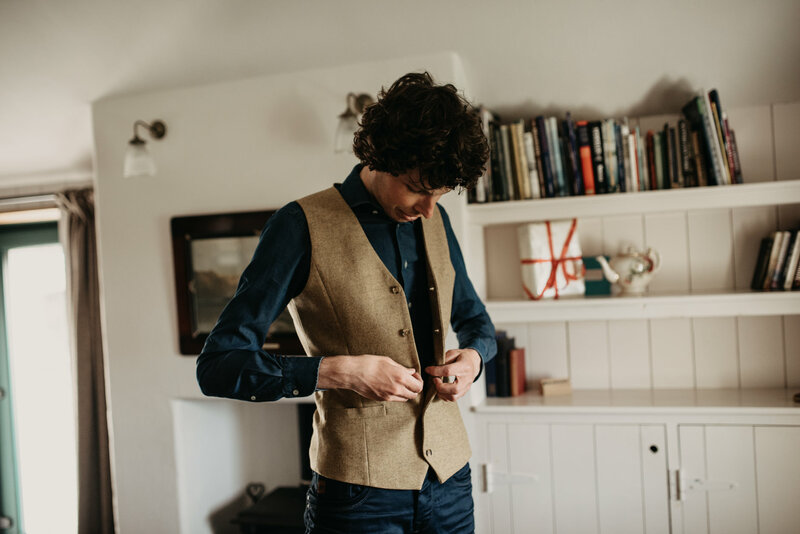 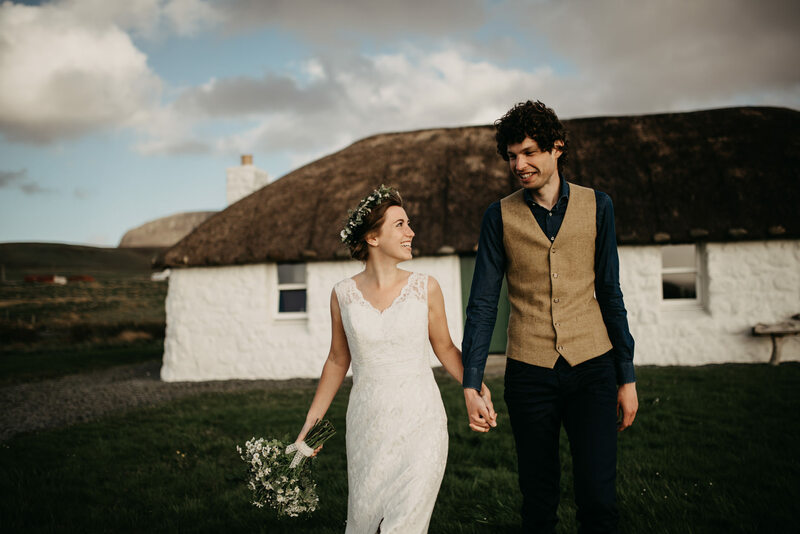 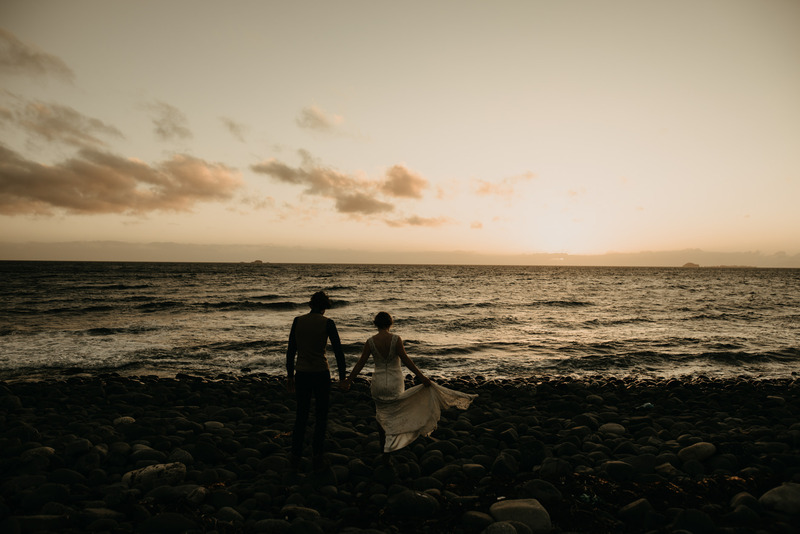 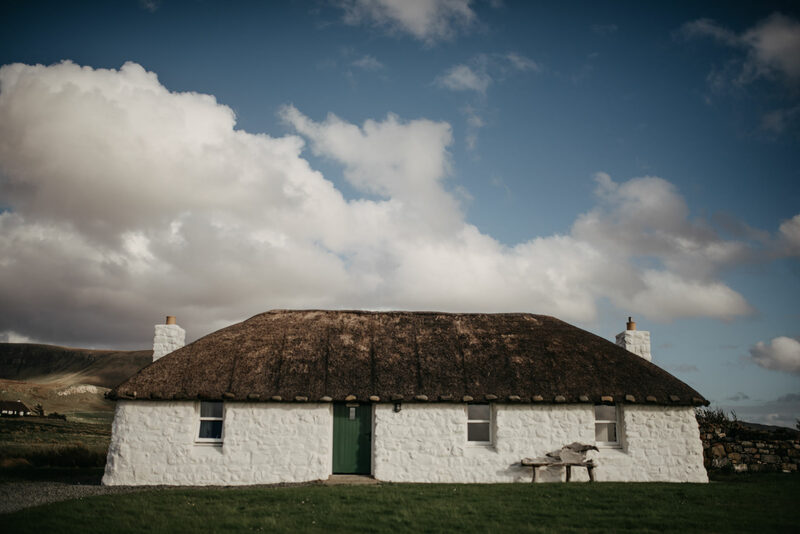 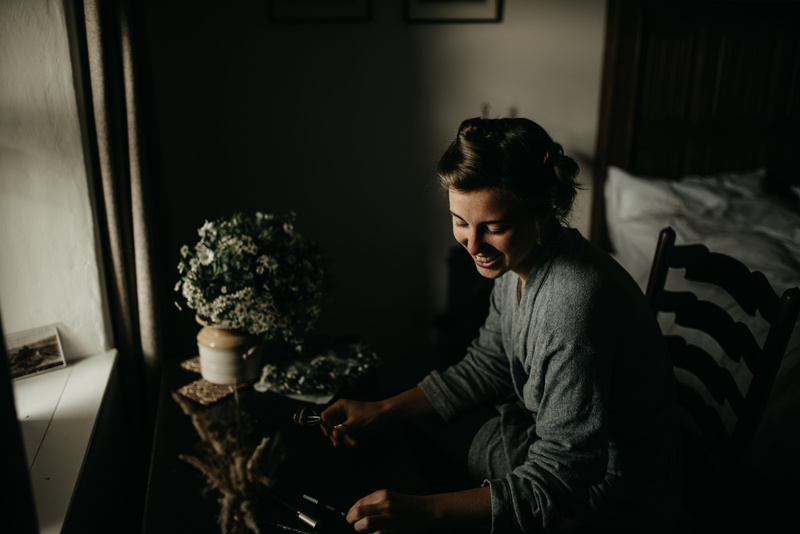 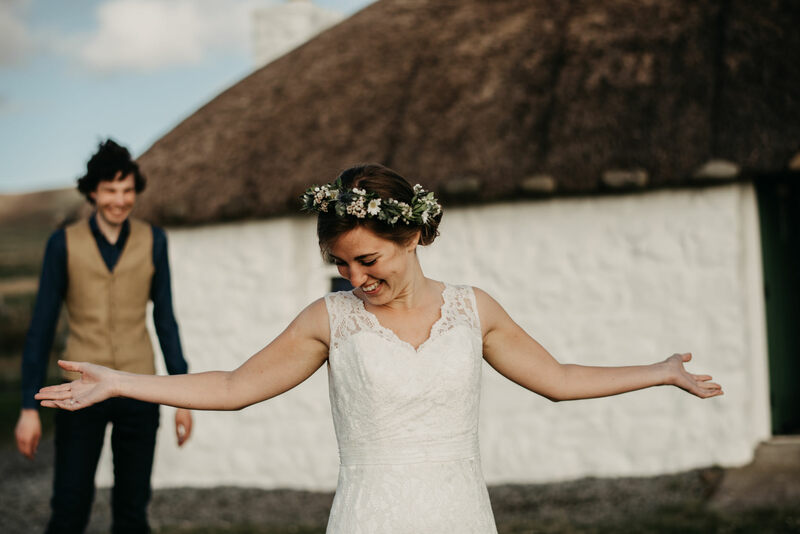 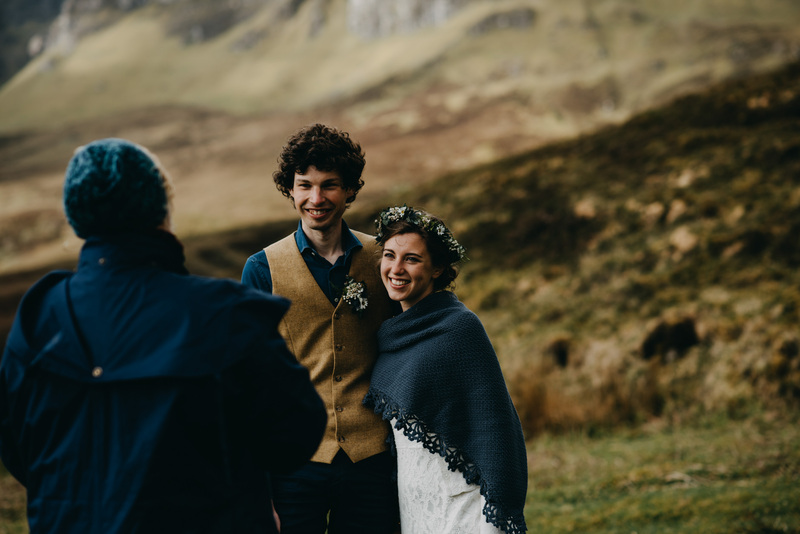 It was full of humour, emotion and old Scottish traditions, I highly recommend getting in touch with Sonja if you're planning an Isle of Skye elopement. 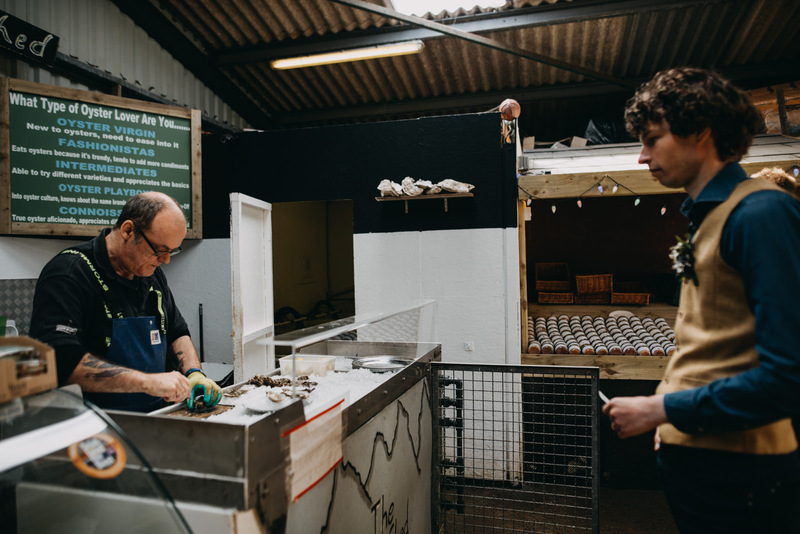 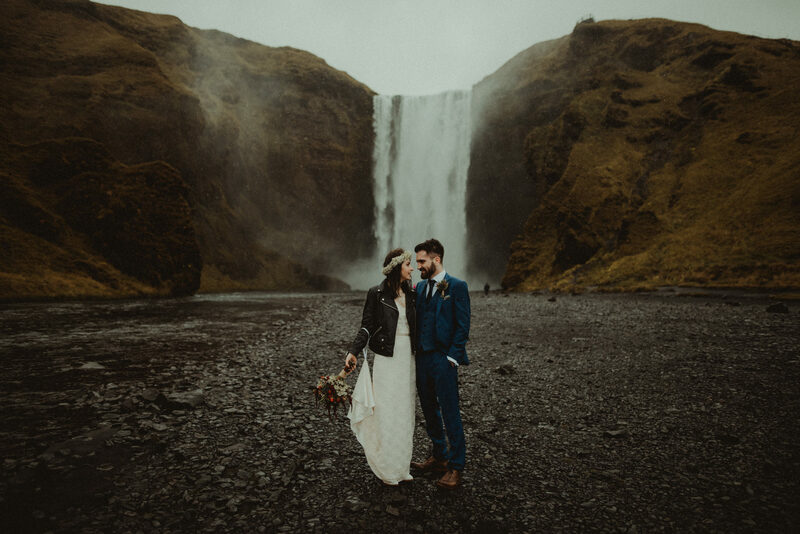 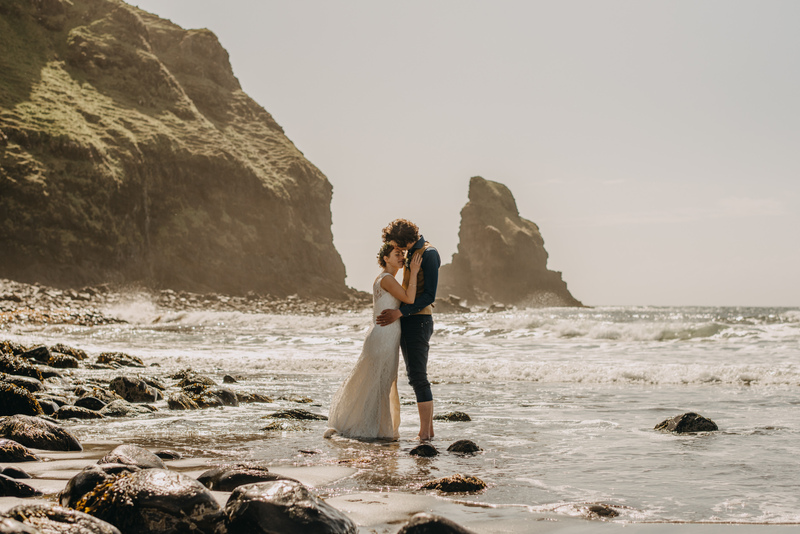 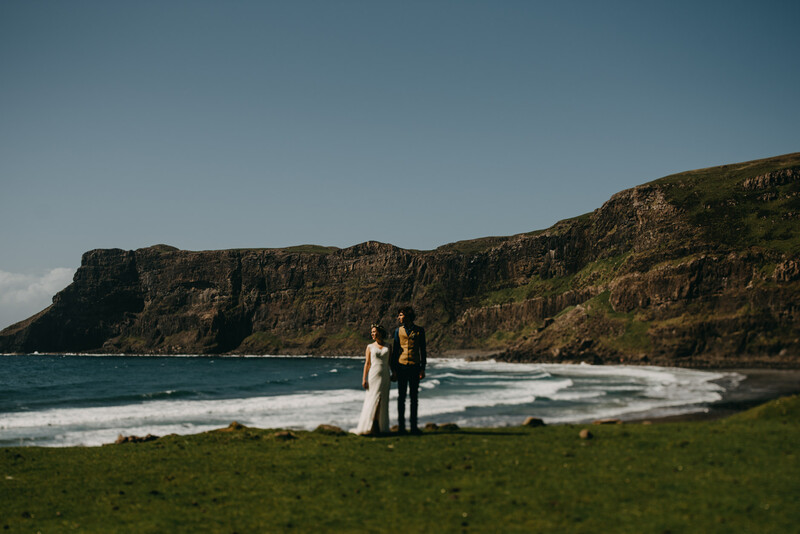 After the ceremony we travelled on to a few spots including The Fairy Glen for some photographs before getting some lunch at The Oyster Shed before going on more adventures around the Isle of Skye including the stunning Talisker Bay. 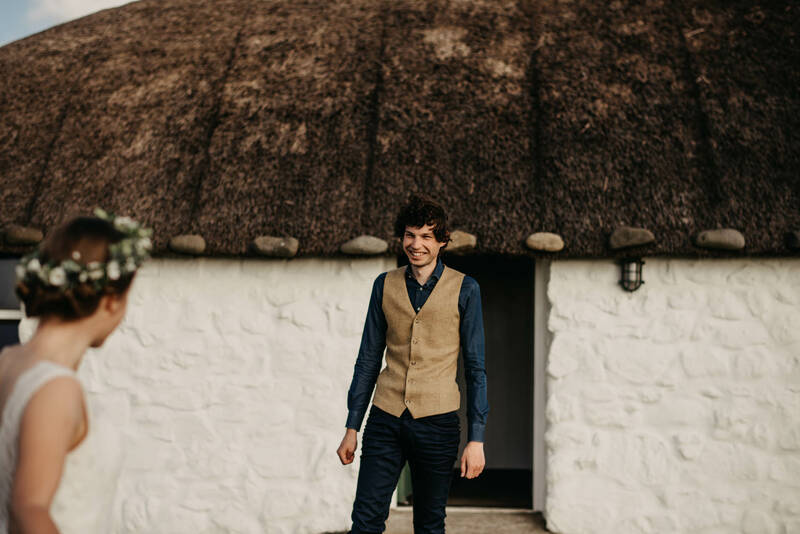 Astoundingly beautiful sir. 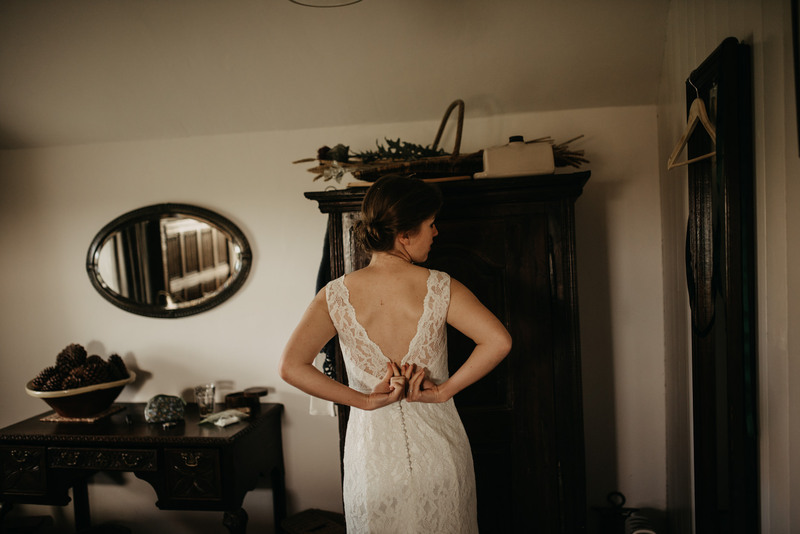 Just so incredibly beautiful. 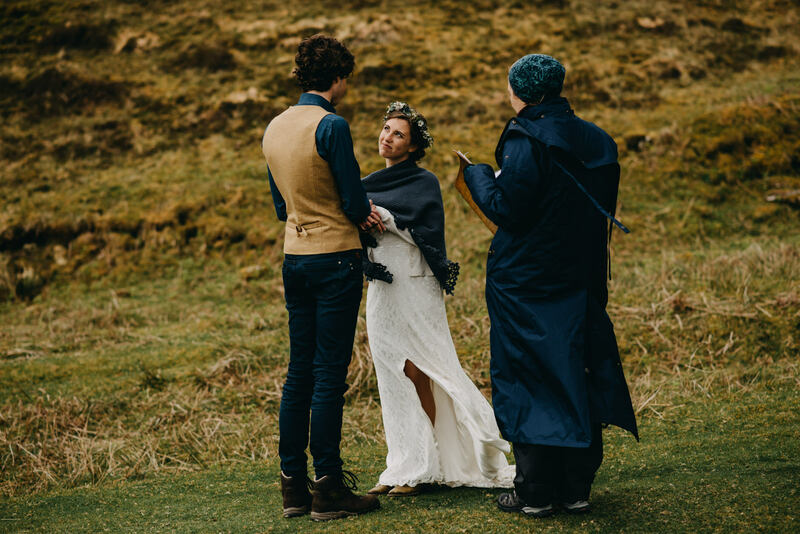 Such a beautiful series Neil. 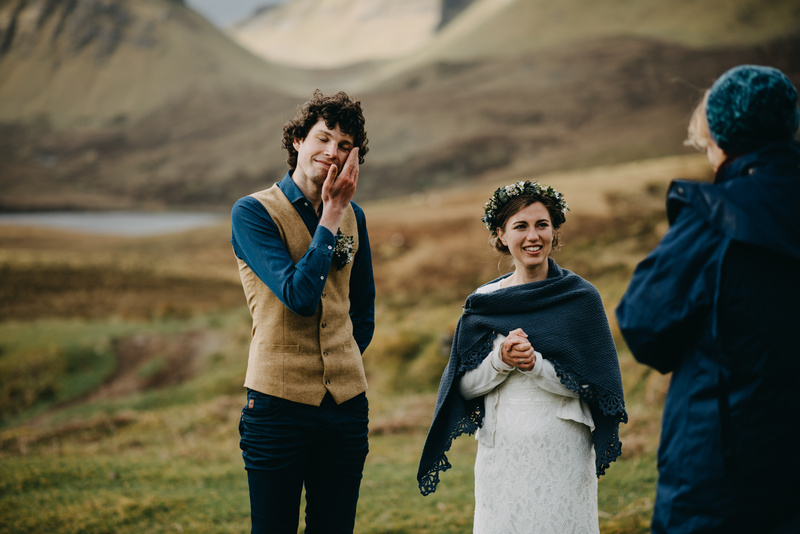 Looks like an emotional and heartfelt day. 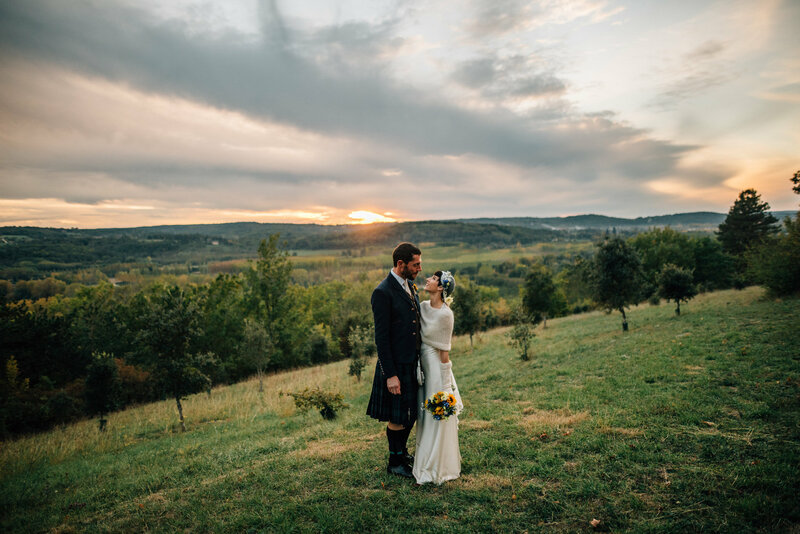 Hi Neil, frankly, it is the first time I see so beautiful series, which are so much different from just trendy pictures. 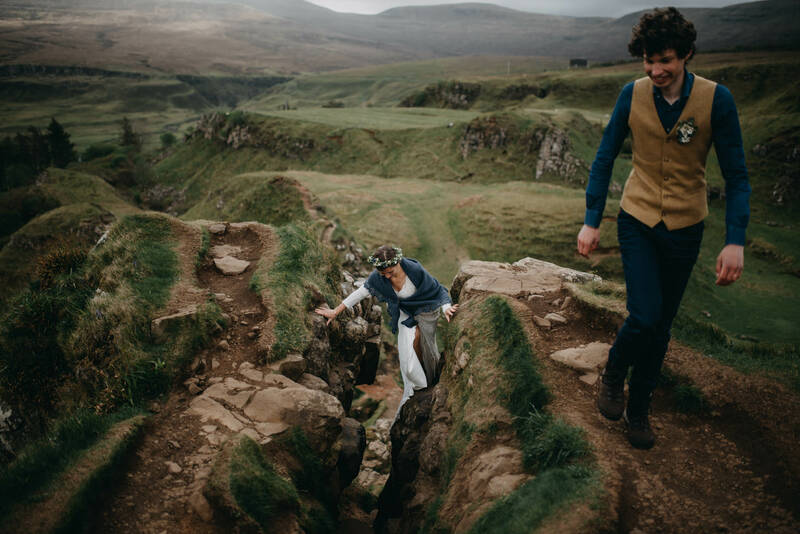 Amazing and fascinating work. 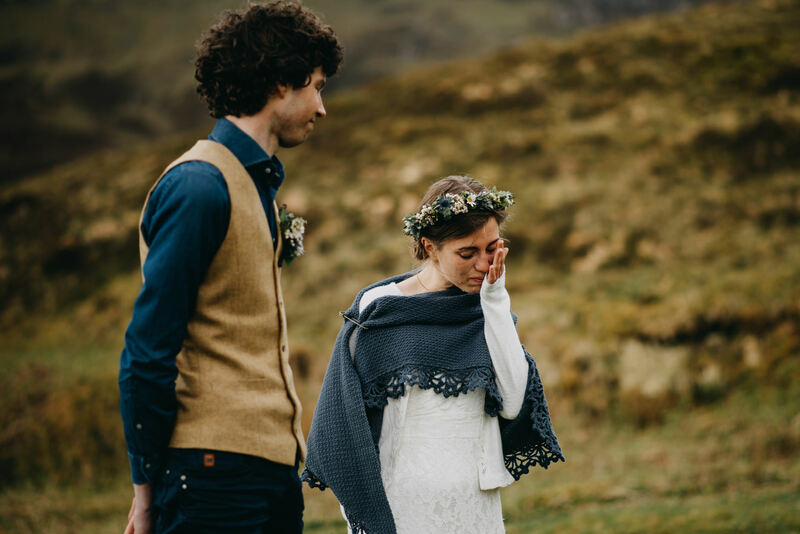 It so emotional and beautiful that I find it difficult to describe. 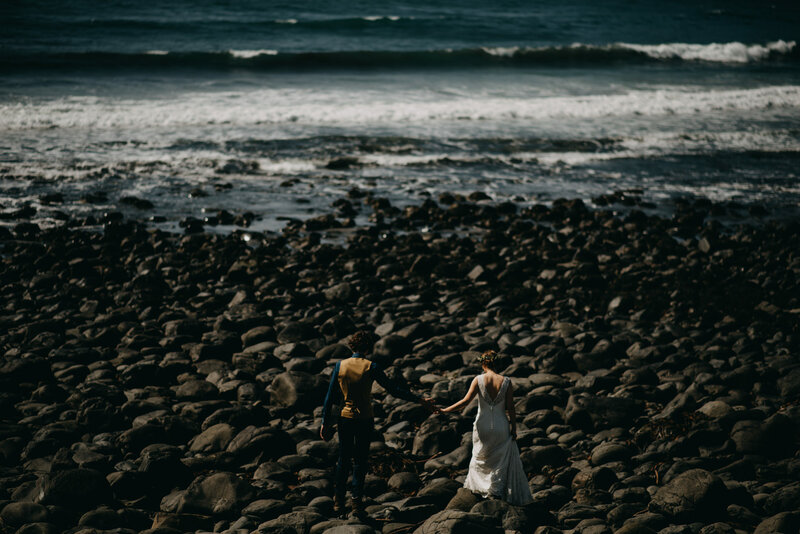 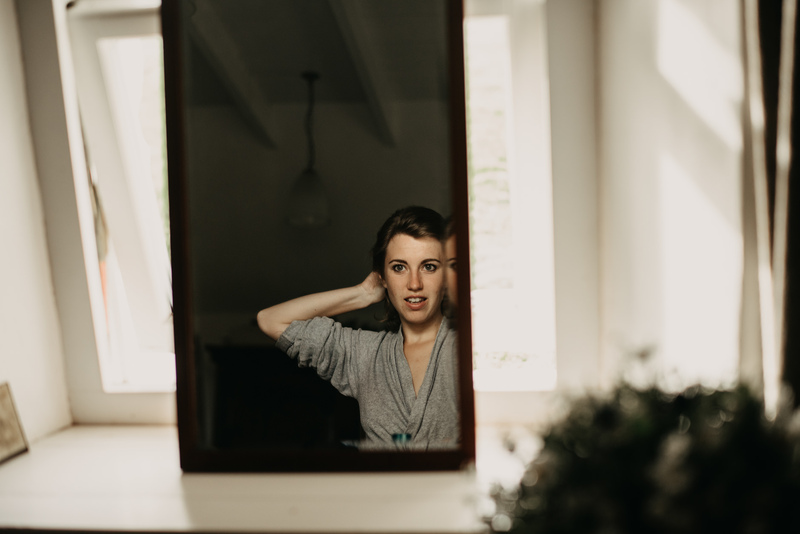 Just in case you would need a second shooter I would be happy to meet you and work together!